No I have never raced F3D but growing up in close proximity to three aerodromes, one military, couldn’t help but induce a fascination and fondness for aircraft. While holidaying in the US in 2016 I visited 16 Aircraft museums, restoration facilities, aircraft manufacturers and aerodromes including Reno (but unfortunately not on Race day, maybe next trip). Although I like watching pylon racing, both full size and scale, collecting pylon engines wasn’t my intention. 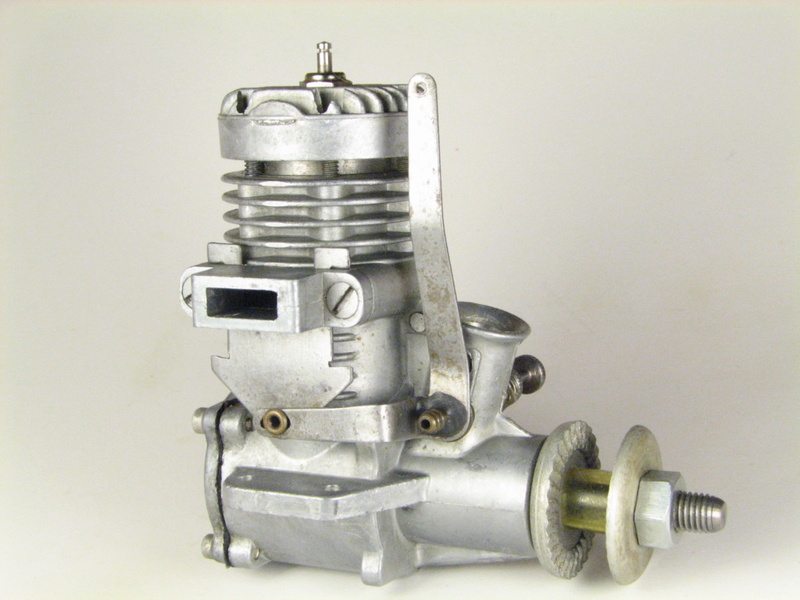 It all started years ago with just one, a Czechoslovakian MVVS 40 rear intake rear induction engine. It looked so aggressive with its pointed aluminium spinner it looked like it was doing 100 mph just sitting there. No longer competitive it was obsolete and cheap and I’d told myself I’d be happy with just that one. Then it’s like when you buy a car, suddenly everywhere you look you see the same car, well I started to come across more pylon engines, (not my fault, they just kept appearing) Rossi, Picco, Nelson, Super Tigre, OPS , Jett, K&B and some makes I’d never heard of like IR (Ravel Ibragimov) MB (Metkemeijer brothers) Cyclon (Alexander Kalmykov) and IKO (Ivo Konečný). 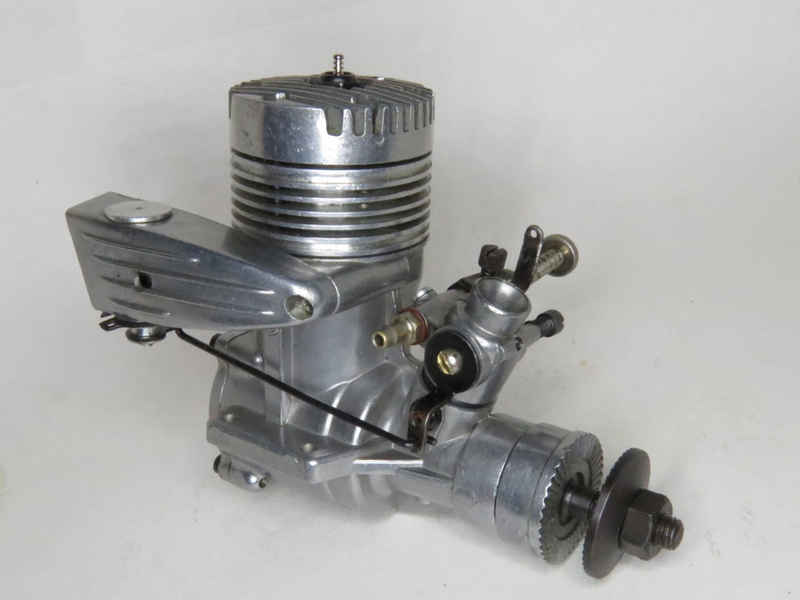 And so the amount began to climb so that as well as a small collection of Cox engines (40 at last count) my collection of high performance engines is now nudging 60 of which 23 are 40’s. 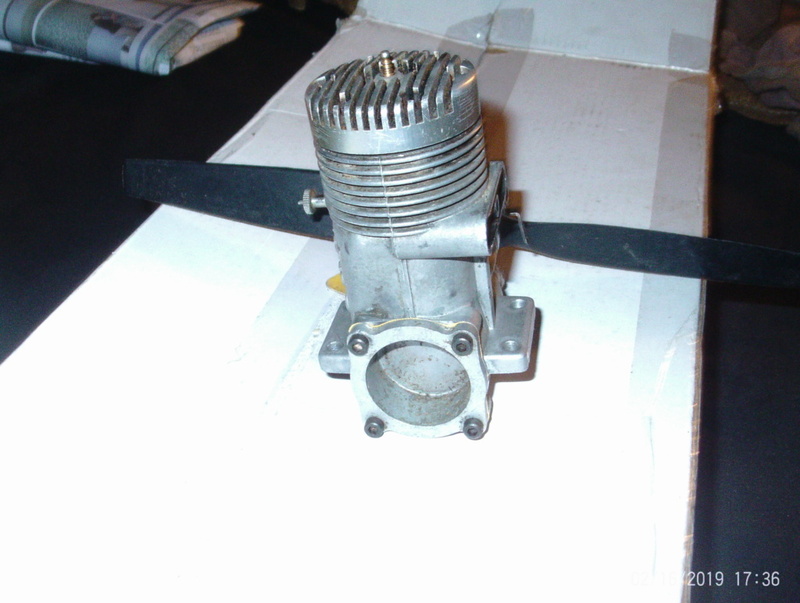 So far, I don’t have an IR, MB, or Cyclon 40 (I have an AC-29) as these are very rare and very expensive. I think IKO’s are still manufactured and I went as far as making inquiries but I haven’t had the courage to ask how much they cost. Here’s a photo of one from their website. if people are interested, I’ll drag some more engines out and post pictures. No plans for them other than cabinet display. I know that annoys some who would rather run them but each to their own. 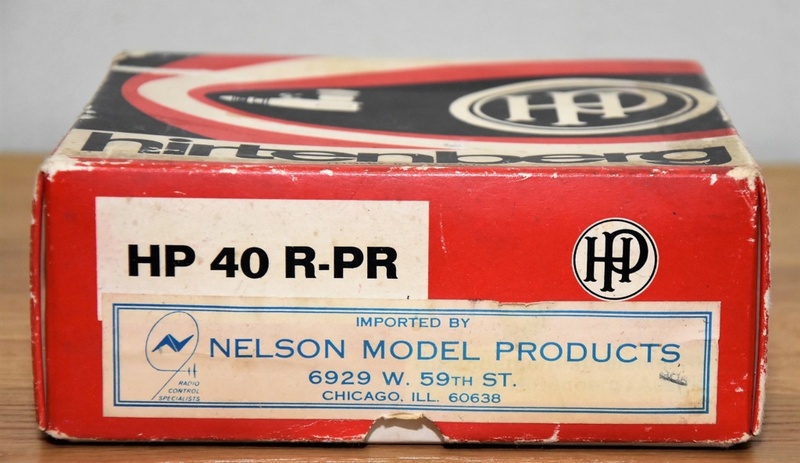 NIce Dave even if you don't use them they are an eye full , like you said looks like going a 100 mph just sitting there , i have been to a couple of the fly in Q 500 and Q 40 races not far from my house and also one of the Nelson mag. 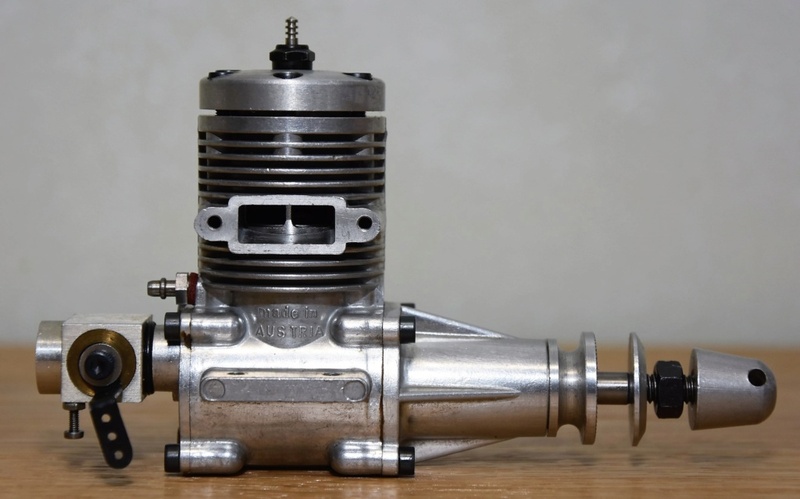 fissillates Down the road .. You think i would have went there and checked it out But i don't know if they like talker and not takers https://aeroracingengines.com/contact.html Sure i would bee interested in seeing more of your collection !! Why wouldn't I ?? 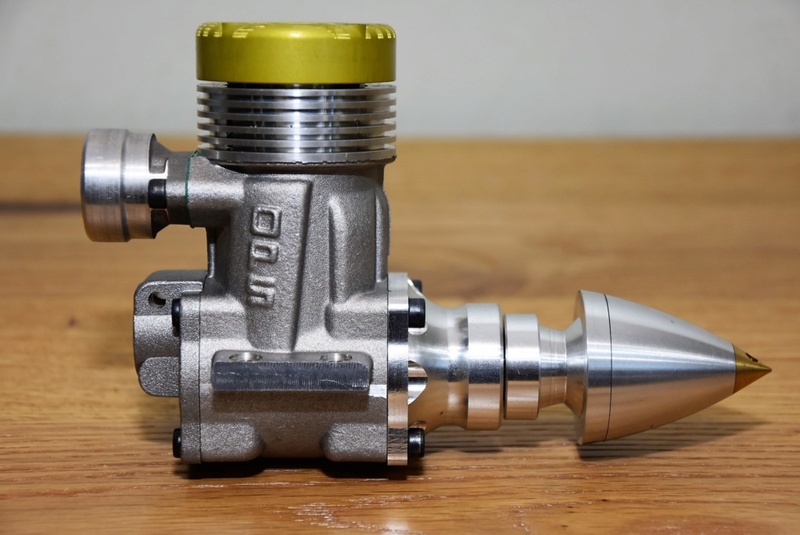 A subset of my collecting interest is throttles. So many ways to skin the cat! Starting in the 50s when navy carrier and RC got popular no one knew what really worked, so everything was tried. Fox and Supertigre especially. 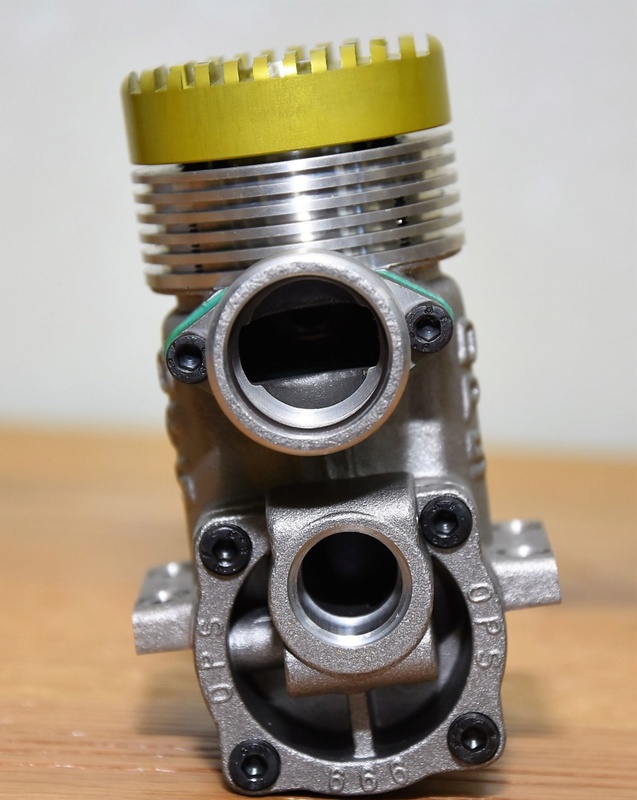 Just coupling intakes and exhaust valves produced lots of schemes. The IKO is a slick example! 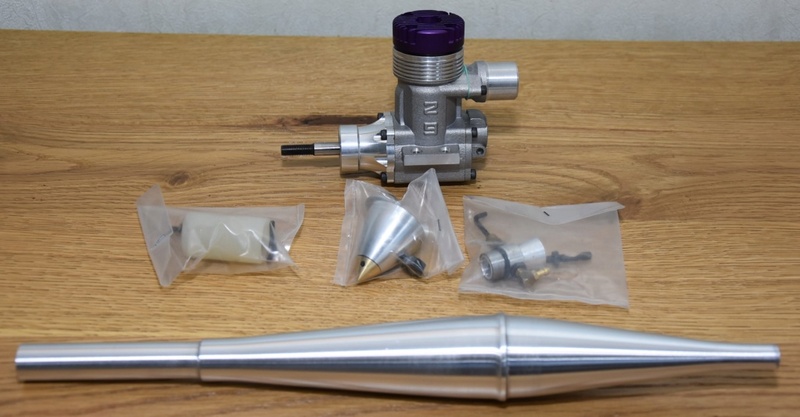 This OS Pet .099 has an interesting RC throttle that is two position with two different orifice holes, standard for full throttle, smaller near pin hole size at 90 degrees to the larger on the throttle barrel for lower throttle / near idle. 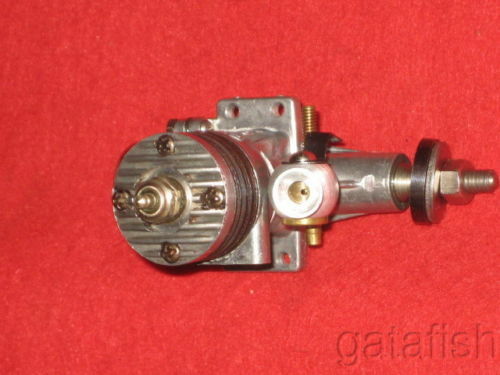 It was intended for quick blip two position (hi/lo) escapement bang-bang control. 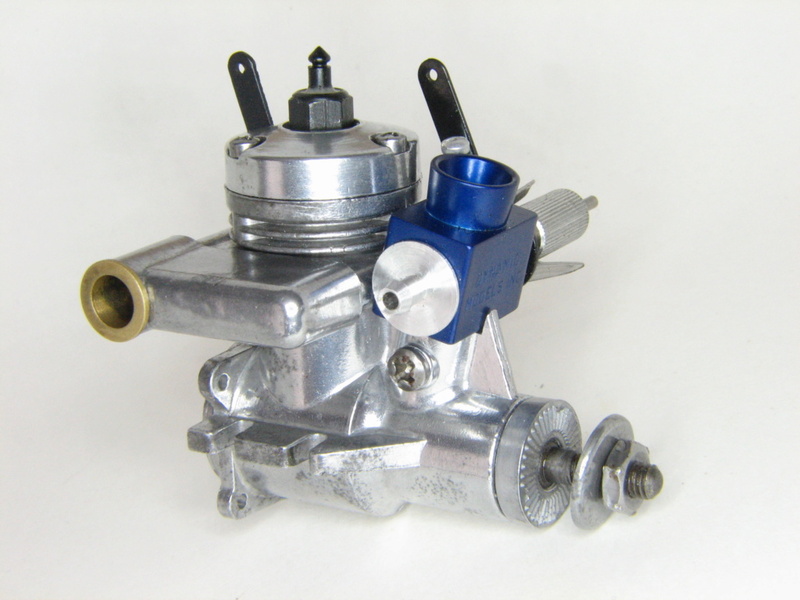 Later the 3rd and final Pet .099 version had an all aluminium crankcase with steel cylinder insert came with a true linear variable adjusting carburettor. It’s always interesting to see what various minds come up with for solutions to the same problem. 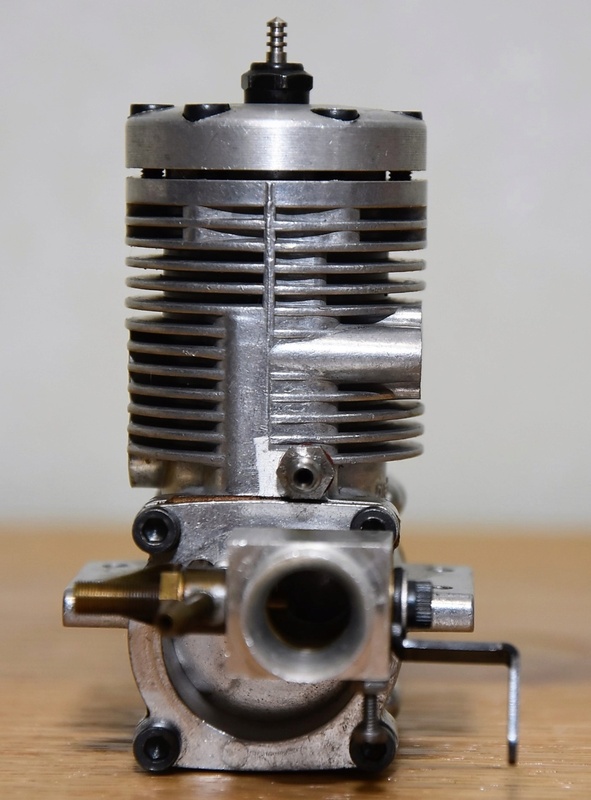 Bill , Nice examples of the early baffle/throttle engines , it is interesting to see the ways manufacturers were going at the problem in hand . Thanks for sharing ! 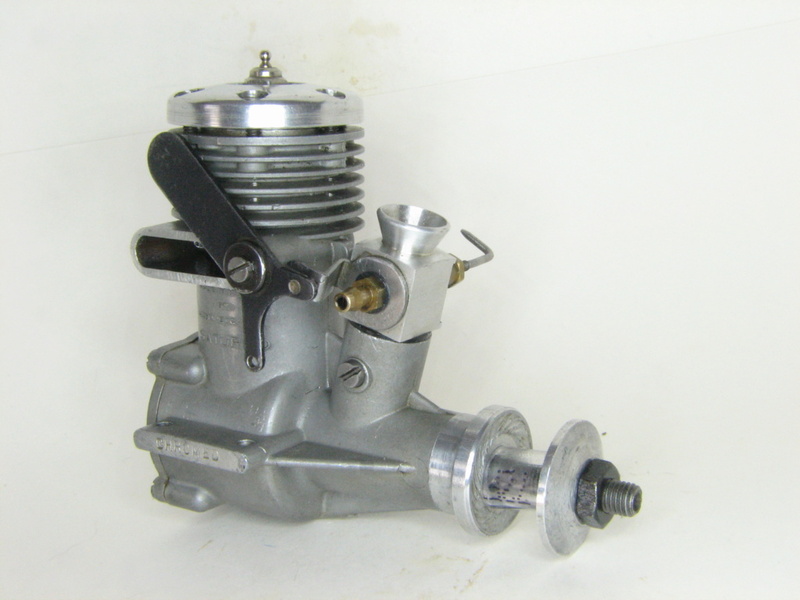 GallopingGhostler wrote: Later the 3rd and final Pet .099 version had an all aluminium crankcase with steel cylinder insert came with a true linear variable adjusting carburettor. Chris, perhaps a bit of misinfo (may be a big bit of misinfo ) on my part but not intentionally. 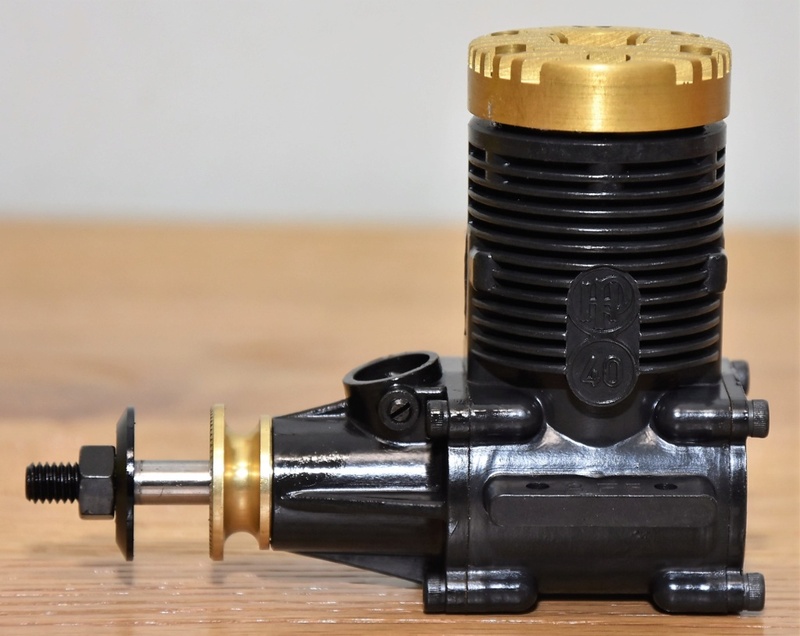 I read somewhere that the square carb body had a true barrel in it, but per your observation was just a different exterior than the "art deco" earlier one. Goes to show that not all said on the Internet forums is gospel truth. 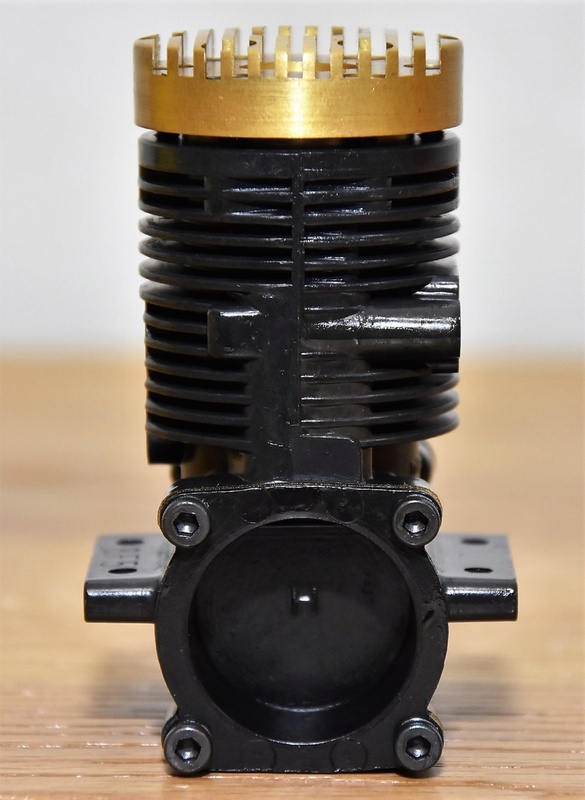 I'm thinking that but haven't tried it myself, but think that similar to the Cox choke tube throttle, but gently varying the main hole opening might get closer to true throttling. This has yet to be seen. Here's the smaller hole I was referring to that is 90 degrees to the main larger one. 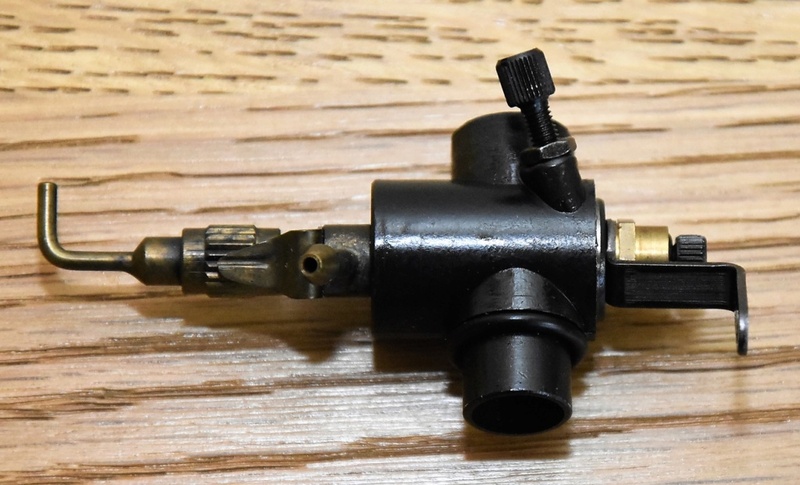 I've seen some fit the Type II carb body to the Type III Pet crankcase, but I found the holes to be about 1/32nd off requiring filing the carb body mount holes. So far I'm unwilling to do that. 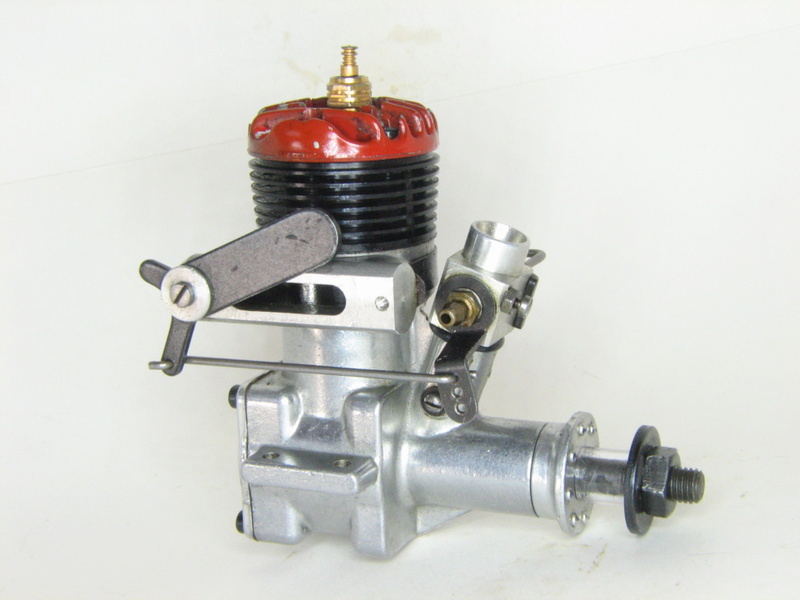 I have several of the later 1964 OS Max .10R/C, now they have a true carburettor and are excellent throttling engines, very well behaved. If one gets a good one in sound condition, I've found they are no louder than an unmuffled Cox .049 reedy at peak throttle, but sound muffled at less than that. 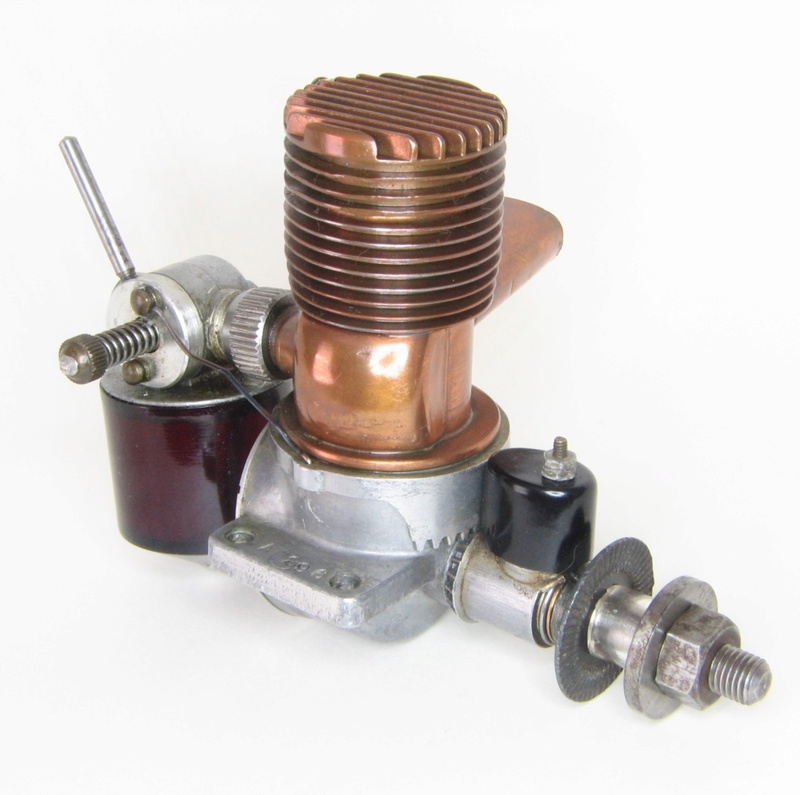 With only the rotating exhaust baffle plate for idle back pressure and no muffler they weigh only 3.1 ounces, make an excellent upgrade to that half-A plane. 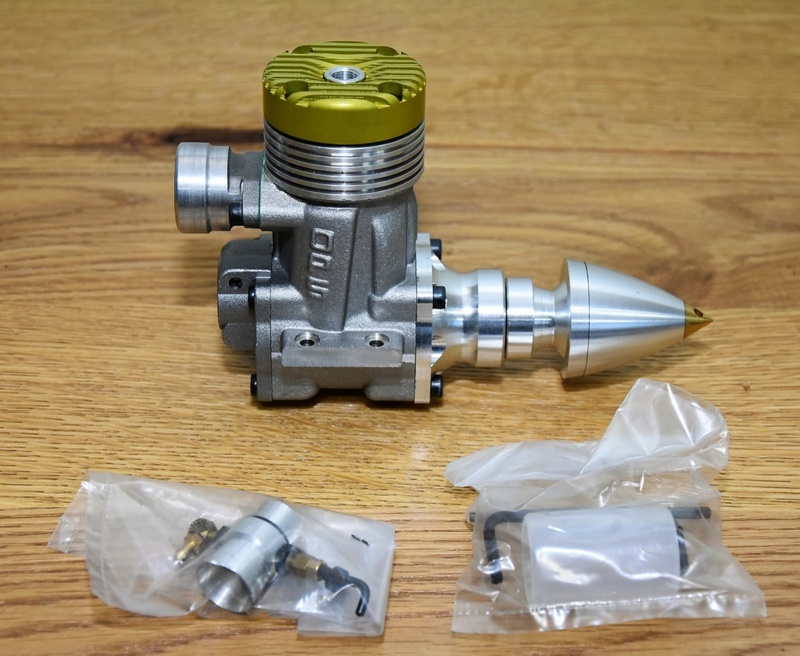 It has slightly over twice the HP of the Cox sport .049 reedies, (0.142 BHP at 13,900 RPM muffled on 5% nitro, but higher unmuffled) but with its very smooth linear throttling is a joy to fly. 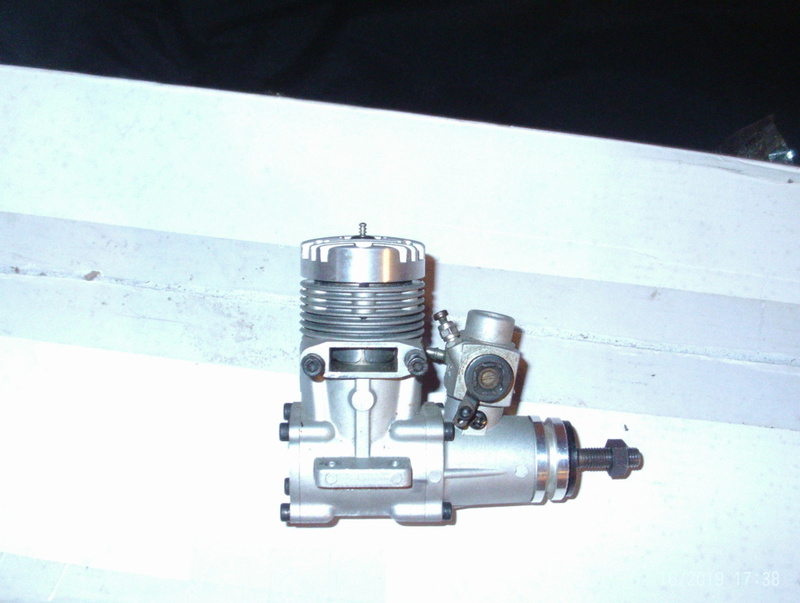 The Pet was of course OS's lowest priced engine-so built down to a price rather than up to a standard....and the R/C carb fitted (I managed to obtain a NIP one from 'gatafish' quite recently) was certainly no worse than than fitted to the typical 1.5cc diesel of the era-such as the AM15 or ME Snipe....and when all is said and done-not far removed from a current PAW diesel carb (at least on the smaller models)-how well they worked I intend to find out in the near future. 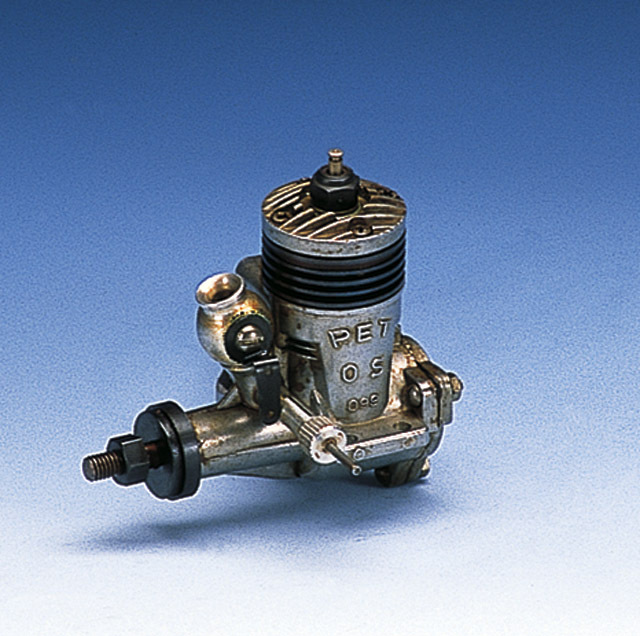 The Pet-II was a remarkable success-Peter Chinn is on record as stating that some 300,000 were produced-which is a very high number for a single model (excluding the Cox/Wenmac/OK Cub 049 types)-and furthermore the dies were worn out as a result-necessitating OS producing new ones-and taking the opportunity that that presented to redesign the Pet to bring it into line with the then (early 70s) OS house style-though I suspect the Pet-III was nowhere near as successful sales wise as the Pet-II! 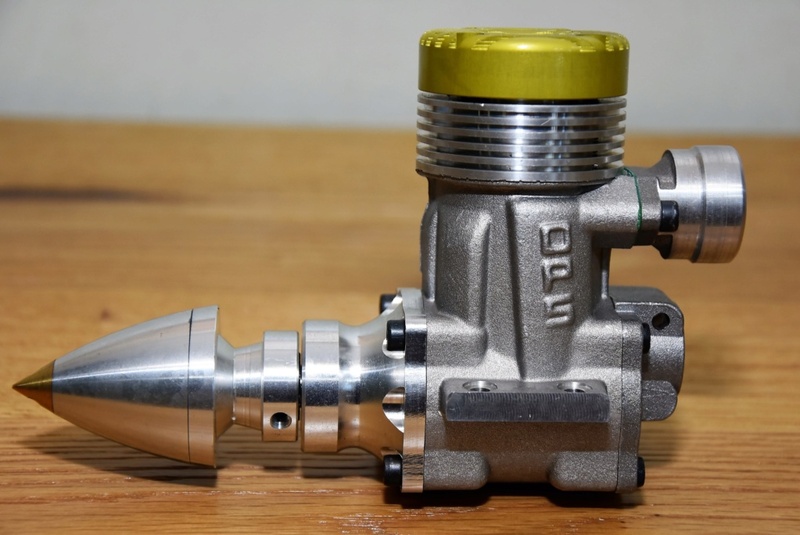 Chris, you give an interesting bit of history in the OS Pet .099 engines. 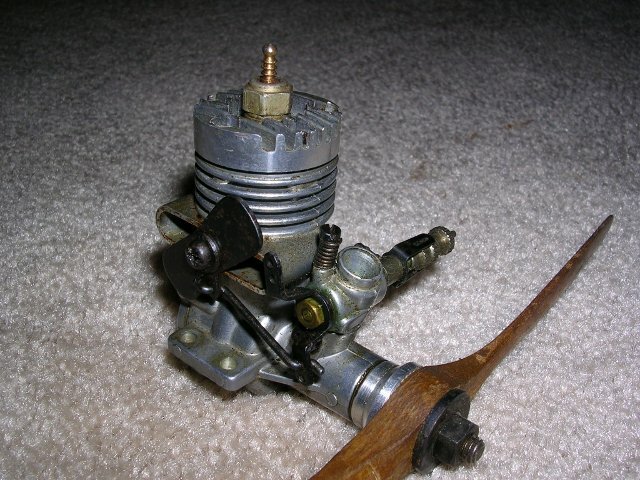 I did a little further research on engine articles in Sceptre Flight. 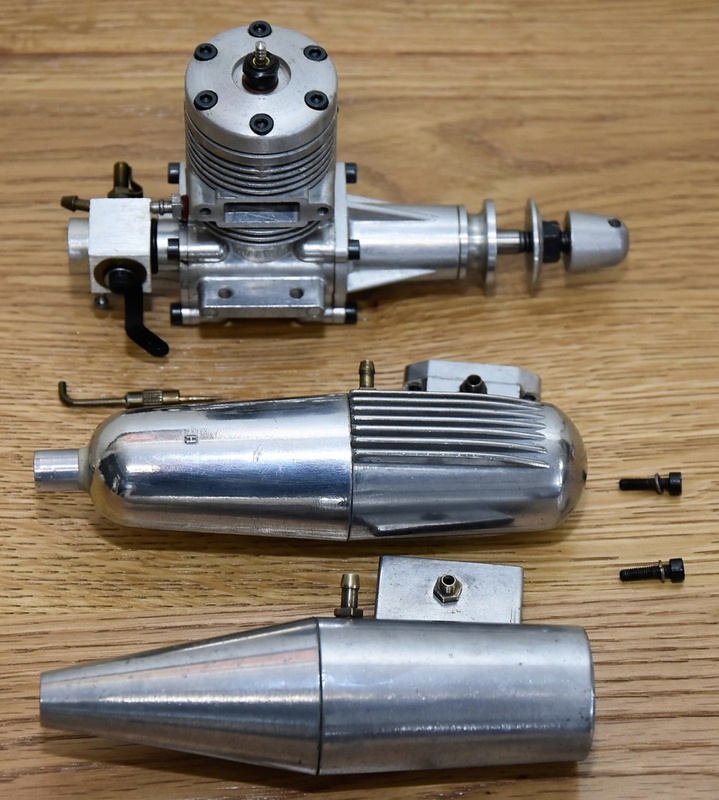 Here's something of interest, regarding improvements of power from the 1951 OS .099 twin exhaust to the 1964 OS Max .10R/C. 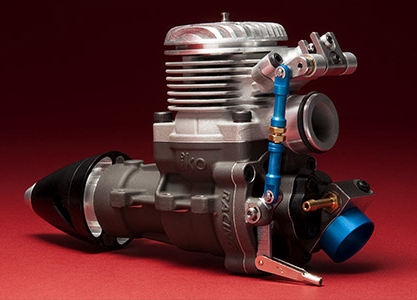 A little surmising by observation, the nitro levels used help to explain discrepancies in performance, with each new model, power output was improved. The latest version Pet is power wise on par with the Max, but my experiences of the Max was a very user friendly engine to hand start and run. The Pet III would probably make a good control line engine. 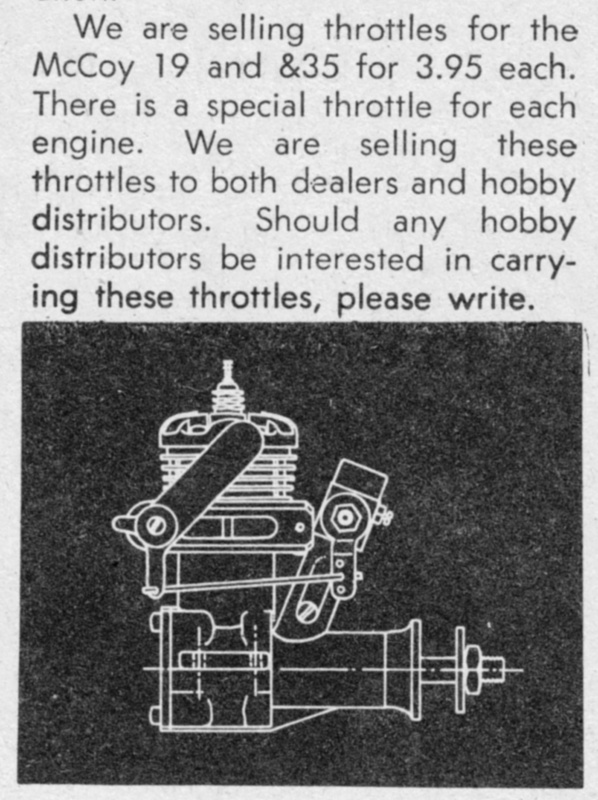 One of the articles, the November 1960 Aeromodeller, answered my question. 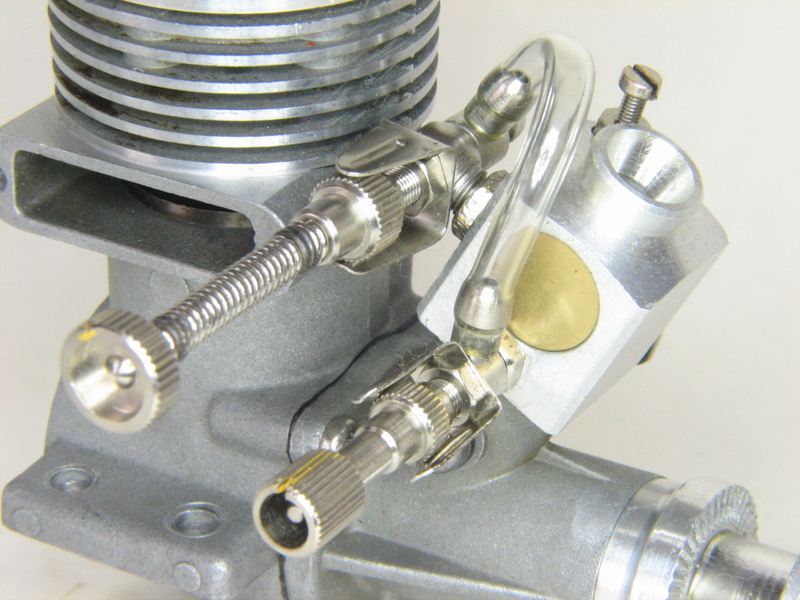 The choke style throttle on the OS Pet can vary RPM by modulating the larger hole. 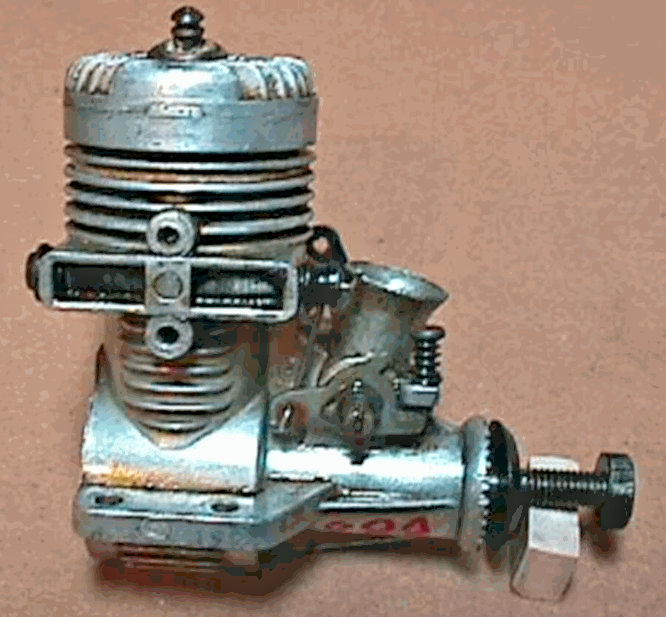 However, if moved where both holes, the smaller and larger were each partially exposed, engine would cut off. 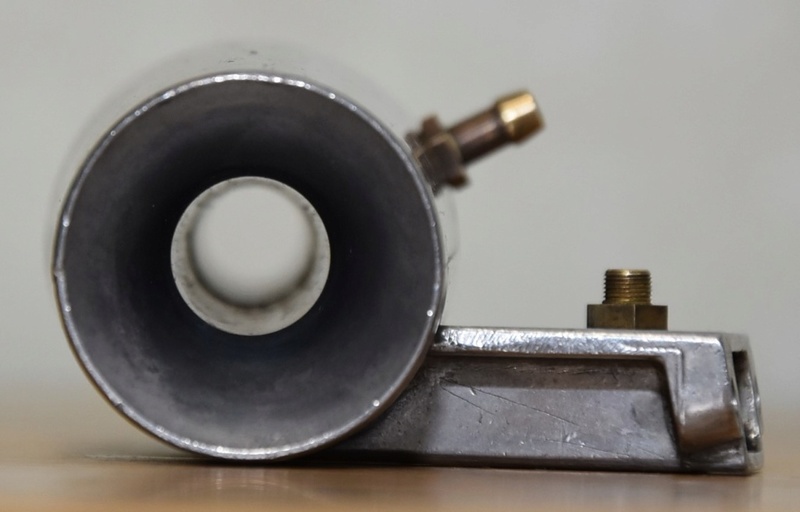 The article didn't say what RPM was obtained when the choke barrel smaller hole was fully exposed, but I imagine it was probably a slower speed that was higher than idle. 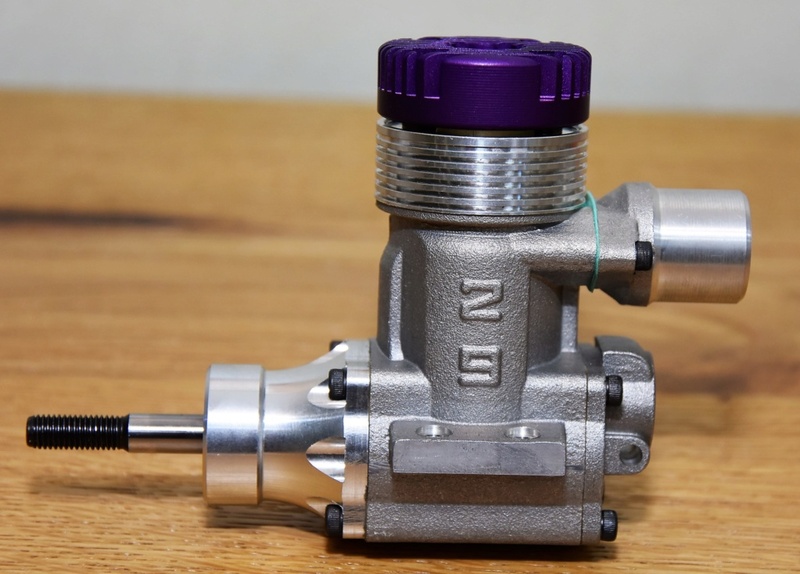 Also, because the needle valve is below the barrel, there was a noticeable delay when throttle would open, that it would take a couple seconds for the engine to pick up speed. This was after the engine was idling for 10 or 20 seconds. 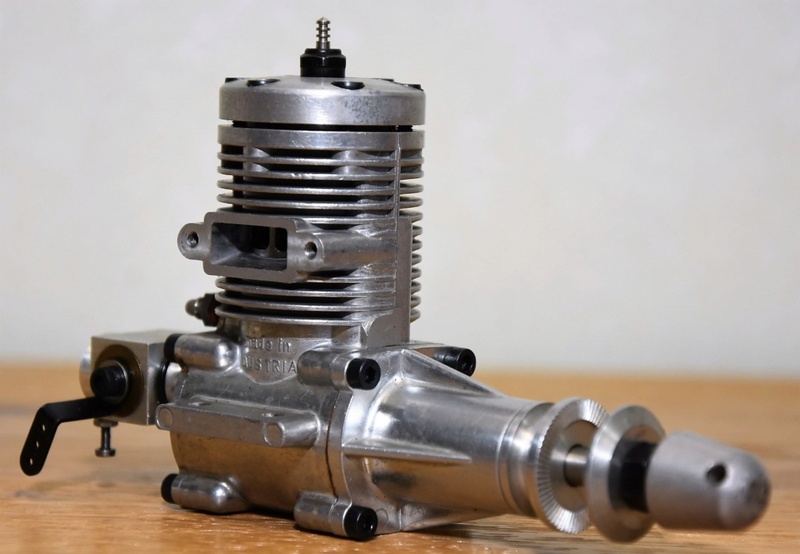 This may be to advantage with say an escapement engine control where it was bang-bang engine high speed-low speed. A gradual ramping up of power would help buffer the immediate changes from low to high. 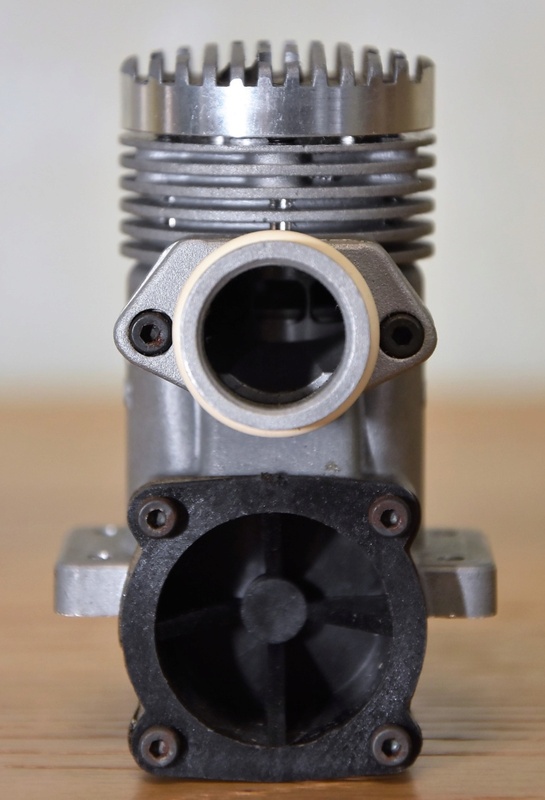 My experiences with the OS Max.10R/C with exhaust baffle plate, after such idling, it would immediately ramp up to power without any hesitation. 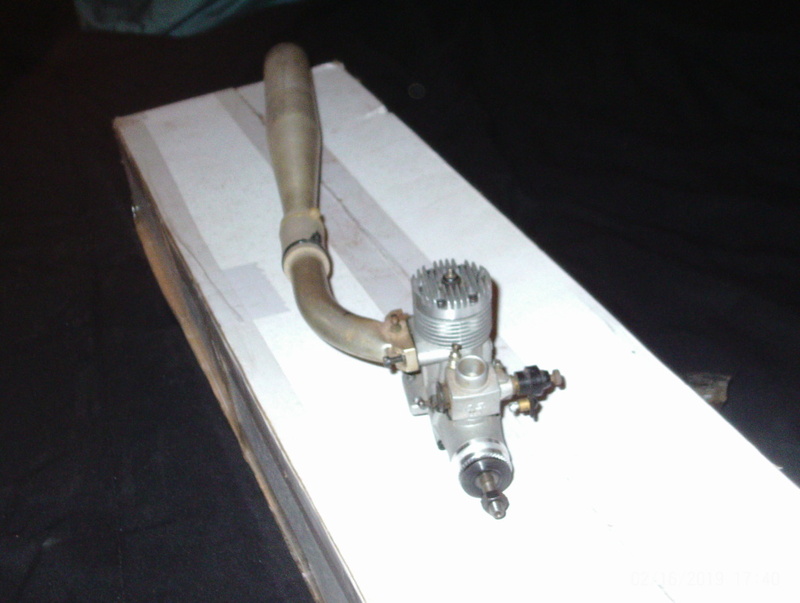 Also of interest, back in the late 1970's, I had a dog of a time getting my OS Max to run using a standard short Fox idle bar plug. 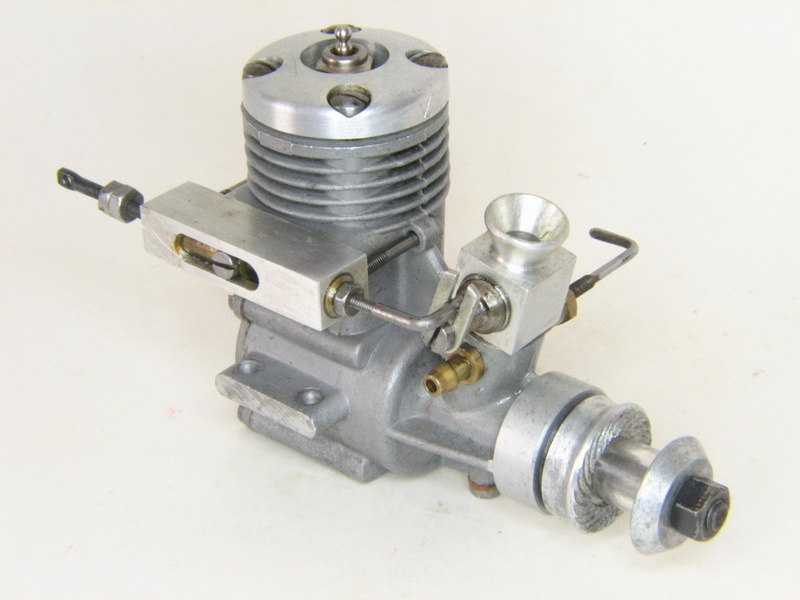 Changing to a Swanson Fireball short hot standard plug cured the problem, hand started up as easy as a Cox reedy. 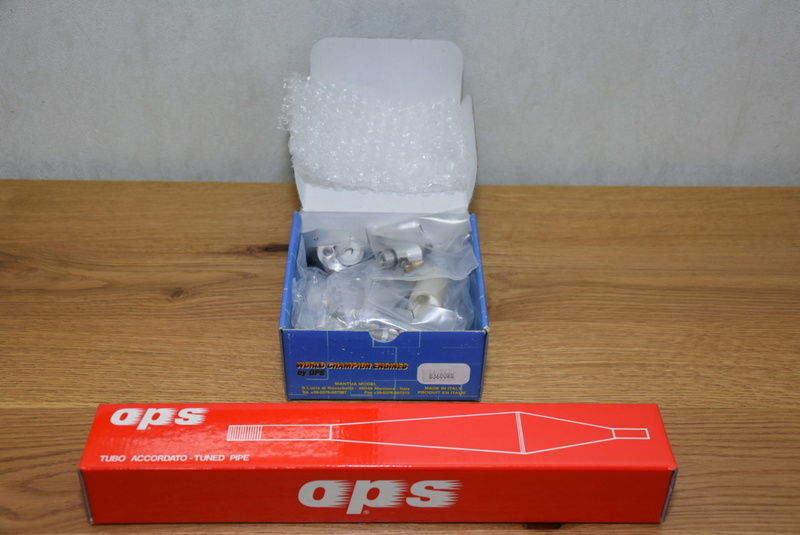 Same problem was mentioned with the OS Pet II using the OS short idle bar plug. 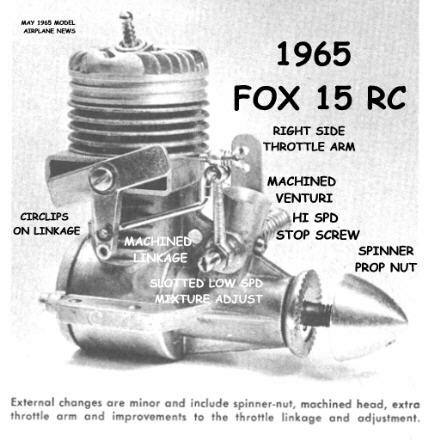 I've found from running various engines, these smaller displacement engines just like the Cox don't need idle bar plugs to run reliably. 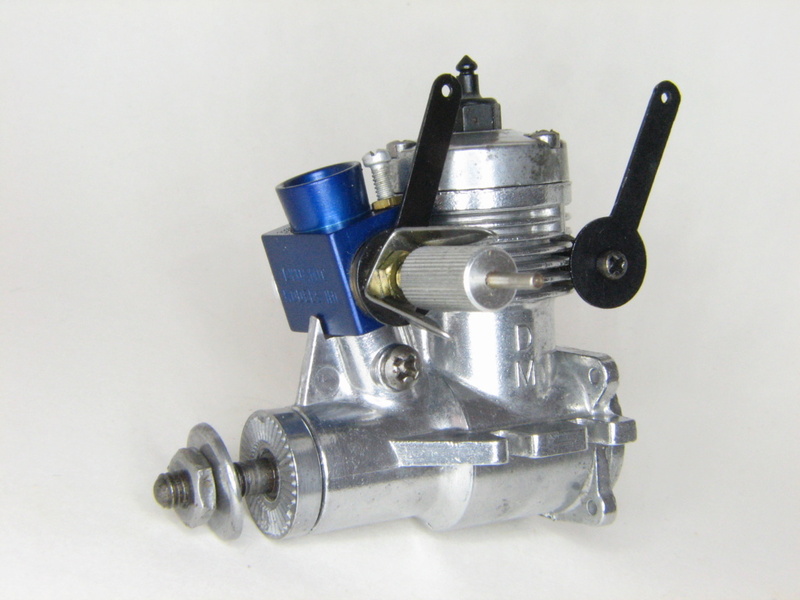 I don't know if the Cox .049 Sure Start choke tube throttle experiences similar delays to power ramp up after long idling. It may power up quicker, just more of a curiosity on my part. 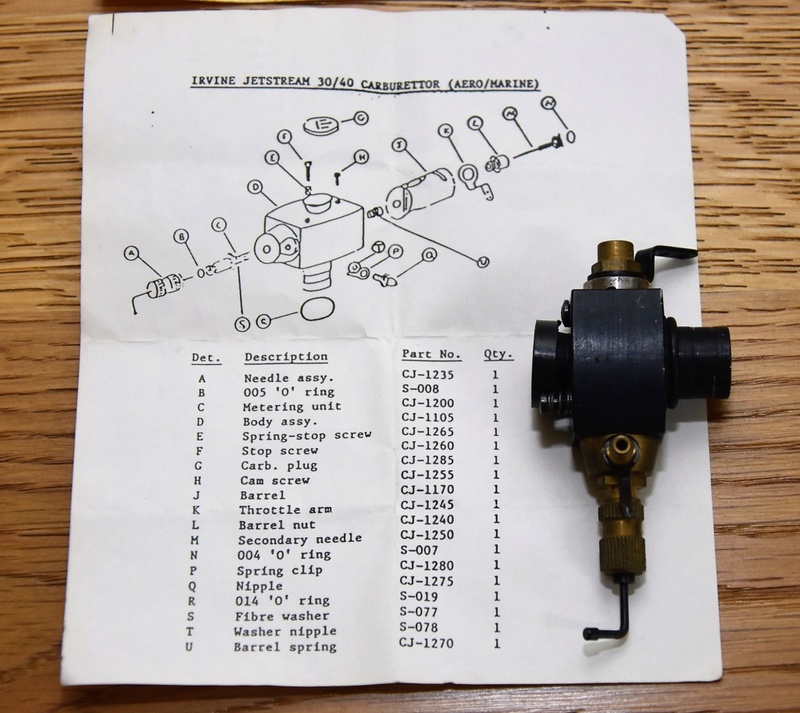 Agreed generally in principle-but note that 'Aeromodeller' and 'Model aircraft' engine tests rarely agree-and more to the point are not necessarily comparable-Aeromodeller's engine tester (from ca 1951 onwards till Dec 1965) was the well known all round Aeromodelling writer Ron ('R.H.') 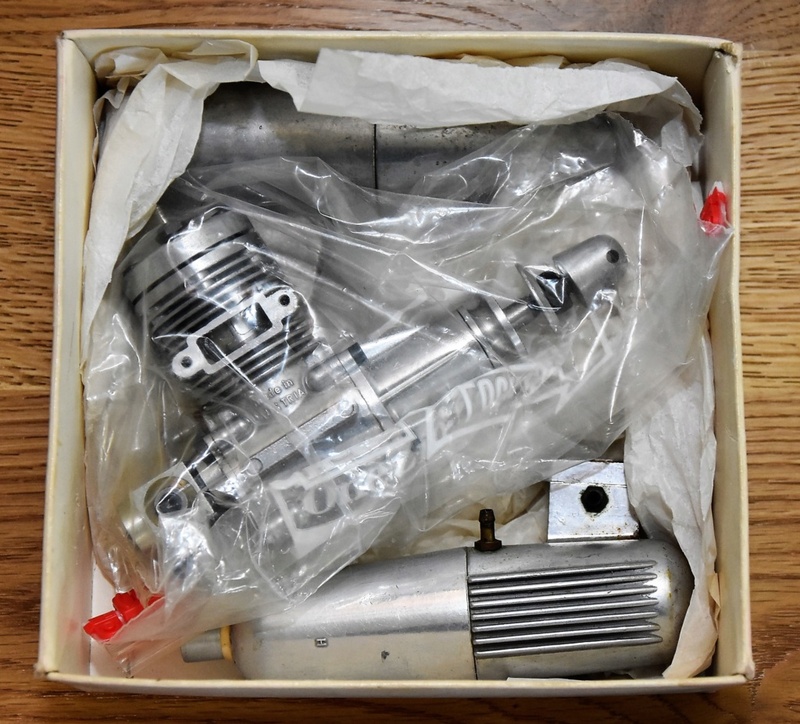 Warring, whereas 'Model aircraft' used the services of the equally well known-but more engine oriented Peter G F Chinn from the mid 50s on until Dec 65 [he may have been involved earlier-but the early 50s MA tests are uncredited] when Aeromodeller absorbed 'Model Aircraft'-starting with the Jan 1966 issue-from that date on Peter Chinn did the engine testing-and was already-from ca 59 -doing the engine tests for Model Airplane News.....so tests published in either are directly comparable in methodology. 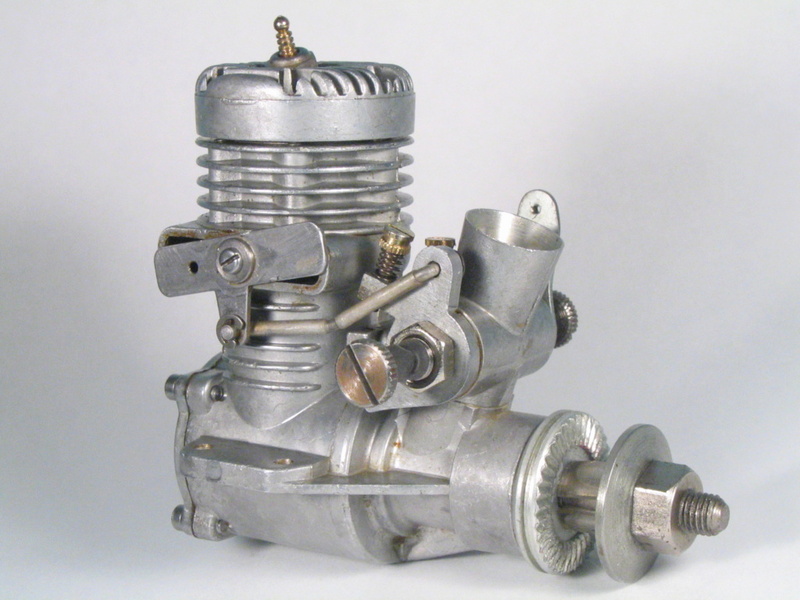 Part of the problem arose from the intense rivalry-particularly in the 1950s-between the two British publications (they were after all competing for the same market)-and this in particular was marked in their engine tests where neither was particularly accepting of results published by their rival....and veiled comments would be made in each about the other's work. 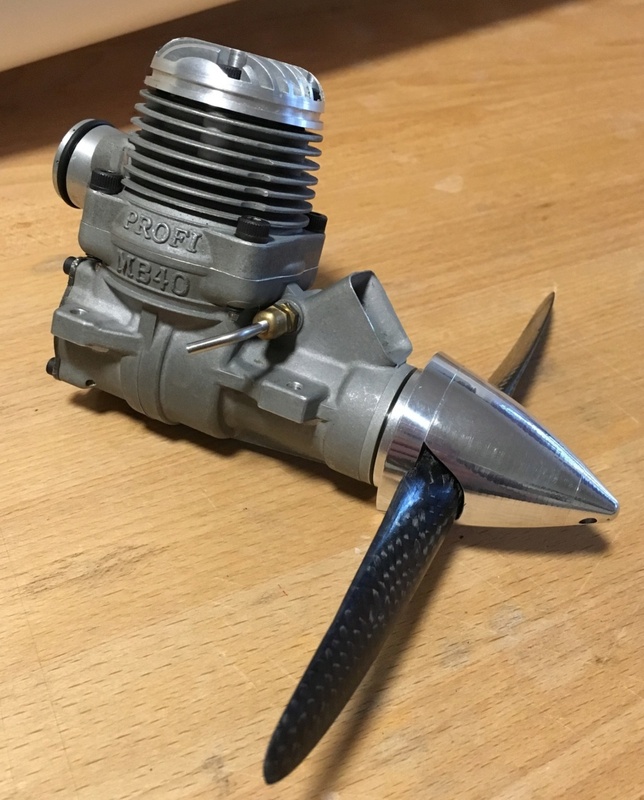 This obviously got to Aeromodeller more than their rival as they got their own specialised test dynamometer made-the somewhat infamous 'eddy current dynamometer' [or 'Warrings new guessing machine' as PGFC termed it!] which was announced with a hiss and a roar in great detail in AM around 54 or 55-and the retests of popular motors using this new system returned results about half what had previously been published-to I suspect the chagrin of RHW-no matter how brave a face the magazine put on it....and no doubt PGFC enjoyed every moment of their discomfort....personally I think they simply messed up the calibration or made a simple mistake in calculations as over the next couple of years-the results returned to comparable levels to the MA ones-though usually slightly less power and at slightly lower rpm than the same engine tested by Peter Chinn. by each tester....and likewise the very early AM engine tests-from 48-51 or so, done by Lawrence Sparey, before Ron Warring took over-the shape of the BHP curves alone from those early tests suggest that the testing methodology and measuring system was less than optimal ...likewise I do not know-because AFAIK it has never been published-whether Ron Warring took over the equipment used by Sparey-or whether he constructed his own along similar lines. PS I should have stated my early experiences with the Pet (I don't have any recent ones-a situation as mentioned in a previous post I intend to rectify!) 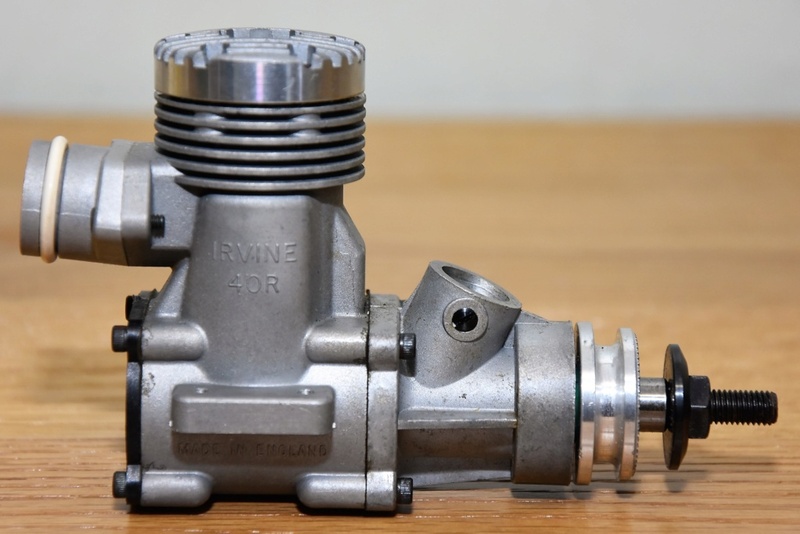 were exclusively in a control line situation-sp small dia high pitch props-7x5, 6x6...not especially conducive to easy starting....let alone on straight fuel.....that being said-I don't recall them running badly on it-just being pigs to start! 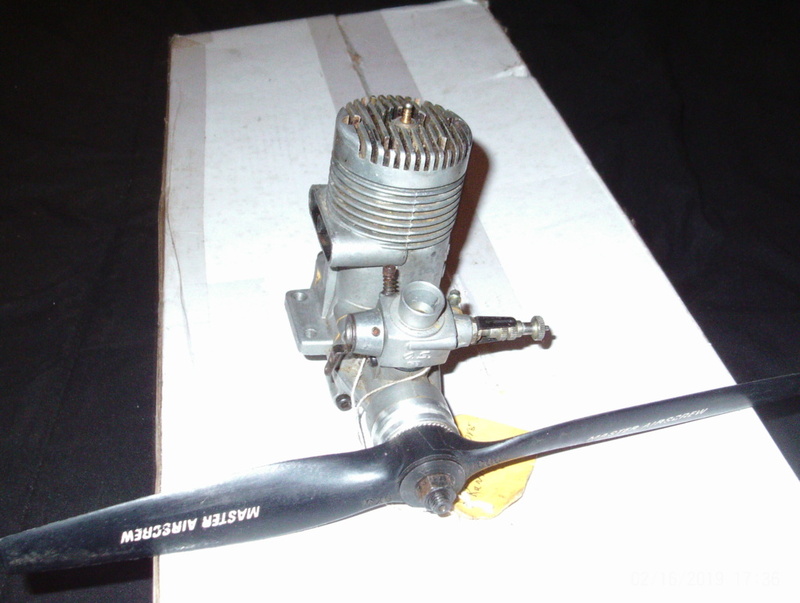 Finally got one for my collection, a 2003 Profi MB40 F3D Pylon engine, unrun, with spinner and prop, out of Switzerland. 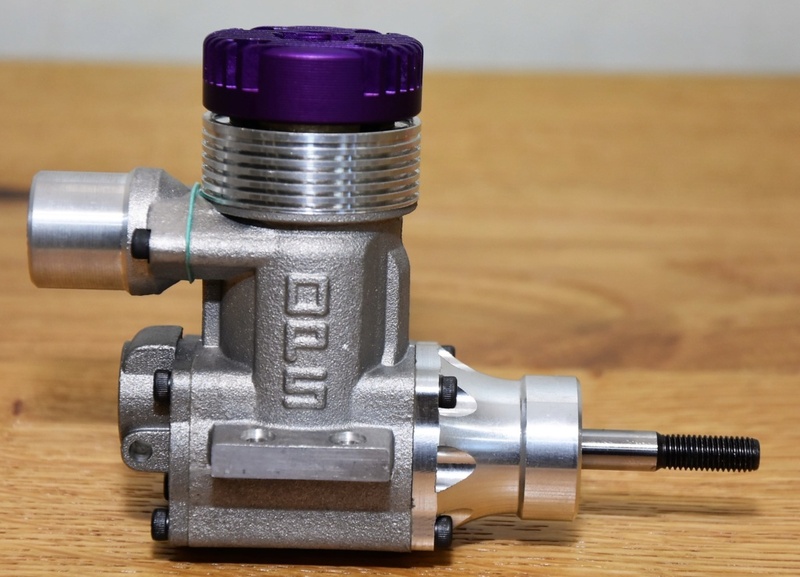 In it's day one of the creme de la creme of F3D engines. that is Awesome , One mean looking machine !! Cheese and toast an't all bad , be sure to put your beauty in front ! Had a time to spare so grabbed a couple of OPS engines to post. When I started to collect I began to compile a list of engine abbreviations but OPS seemed to have their own engine abbreviations and I found it very confusing trying to figure it out. 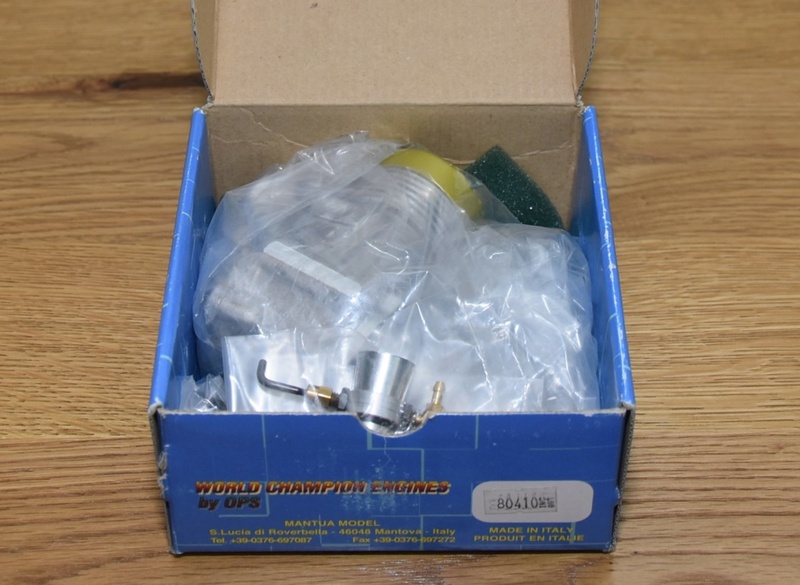 I contacted William Hughes who is an importer/distributor for Mantua Model/OPS (B&L Hobby Supplies, Inc.) asking if he could fill in the gaps for me and he very kindly sent me the following which may be of some help to others. 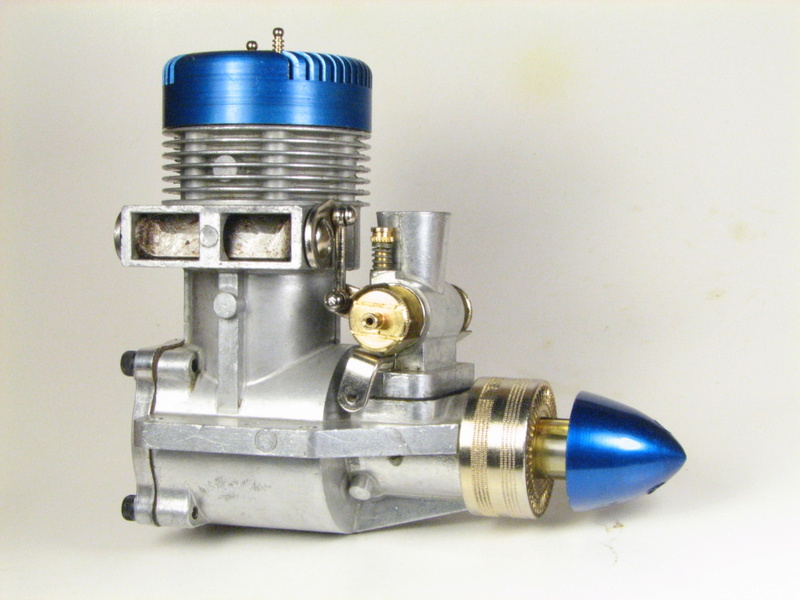 • For instance, you could purchase an OPS .40 engine built as a: Aero, Marine... front intake, rear intake, rear or side exhaust, Std or RC Carb. for Pipe (VAA or VAE). This is one of the things that I feel brought the old OPS Company in to problems. They made too many variants of their engines. Even though they are all very good, it can make life a bit confusing. • If you go to: www.mantuamodel.com (Mantua Models Italy) under the link to OPS Engines you will find scans of the OPS #6 catalog. It has old photos and part numbers. 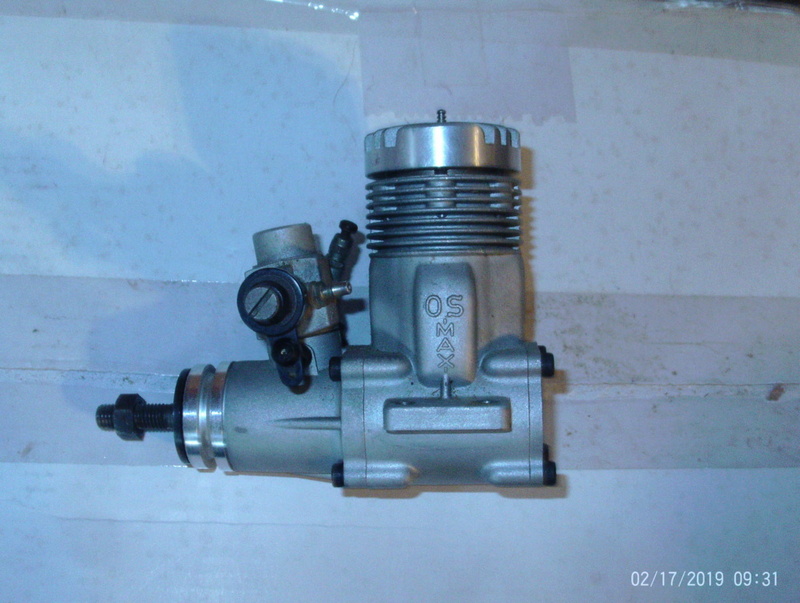 2010 OPS 29 (4.9CC VAE Speed with tuned pipe. 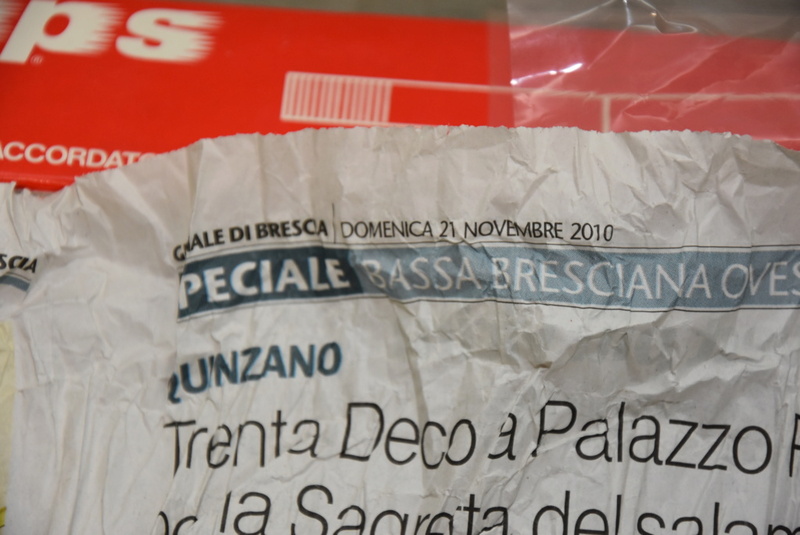 The newspaper the pipe was wrapped in gives a clue to it's age. BEAUTIFUL ENGINES Dave !! That is a heck of a list of configurations you can get through OPS . The finish is Nice as you say . 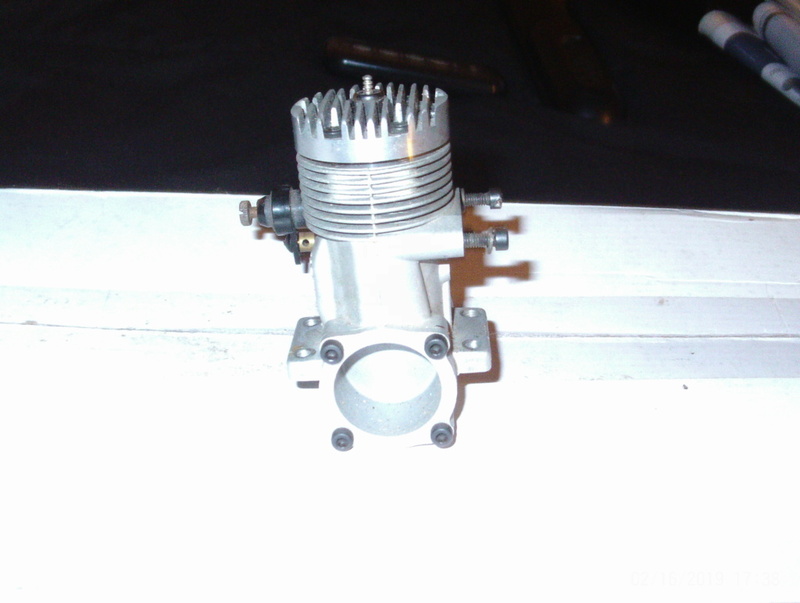 I got something i want to post as soon as i wake up and get to it , not as nice but probably the hottest engine i have . Very nice, Dave, those OPS are truly gorgeous pieces of model machinery. And, thanks for the abbreviation compendium. And a OS 60 MAX H was in there to.. Thanks for digging that out and posting it Eric. If you don't have a use for it yet put it out on display. Any engine with a pipe looks cool. 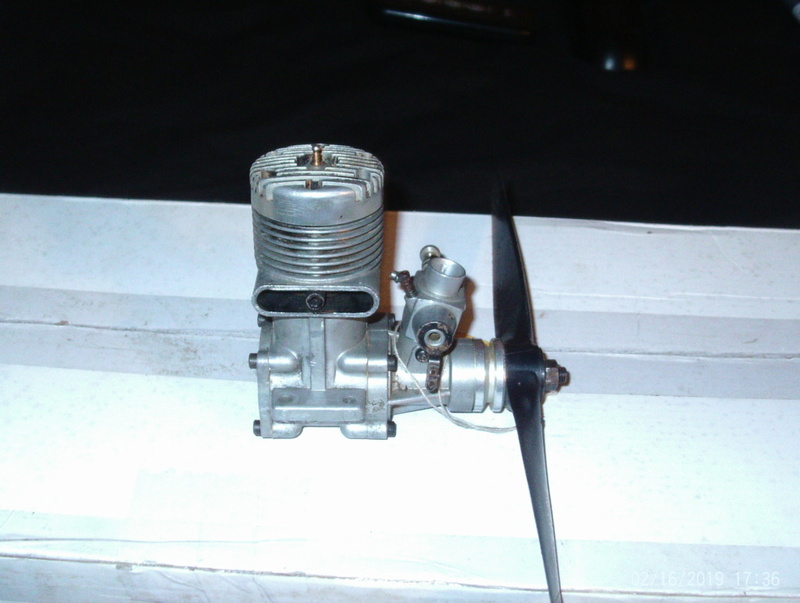 That's on my list of things to do after i get new glass for the display cabinet, Funny thing about that engine is a friend at the time was trying to fly it on a Biplane and had put the prop on backwards , and the damn thing almost took off till he realized it didn't pull like it should and brought it back for inspection . Very powerful engine and that was 30 yrs. ago ! 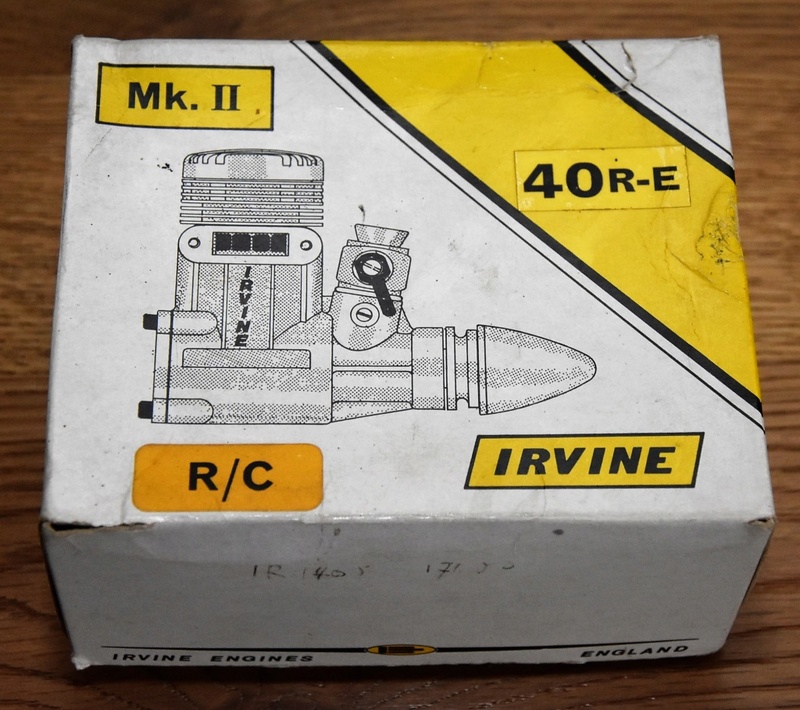 Here’s a NIB Irvine engine which, at a quick glance, appears to be a MKII 40 R/C model. 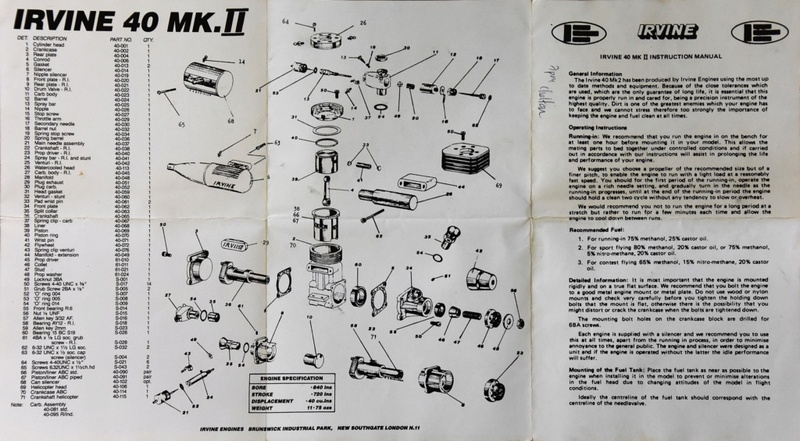 Removing the lid and looking at the enclosed leaflet it shows an exploded view of a front intake side exhaust MKII 40 Irvine engine. 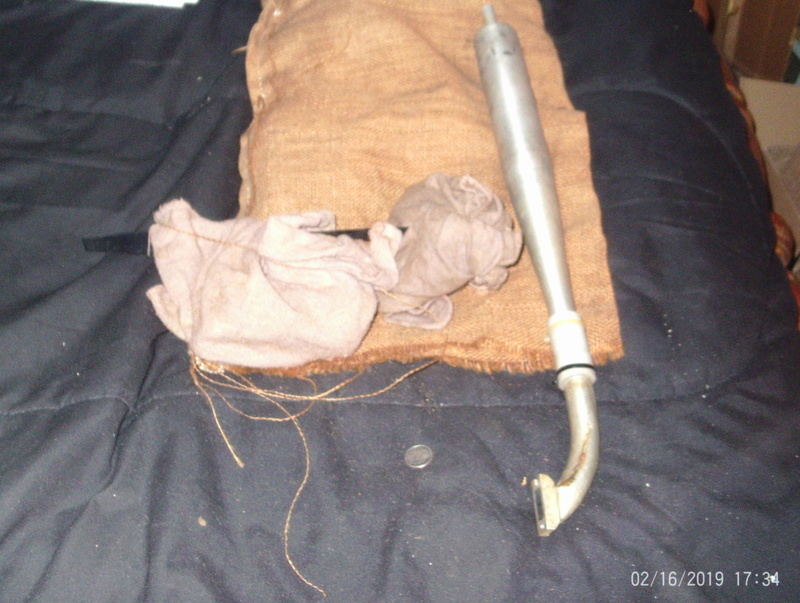 Removing the top layer of tissue paper reveals a different engine altogether, a front intake rear exhaust Irvine 40RE. #20. 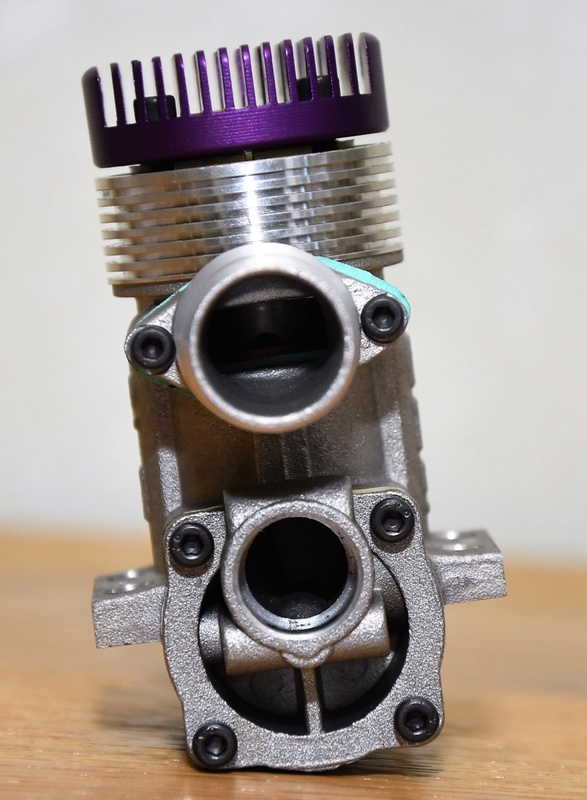 "RE: Irvine 40 pipe engine"
>simply show 40R on the crankcase. > So is there any difference between the 40R and the 40RLS? I've resurrected this thread because of some new information on these RE Irvine’s which came direct from Peter Halman. 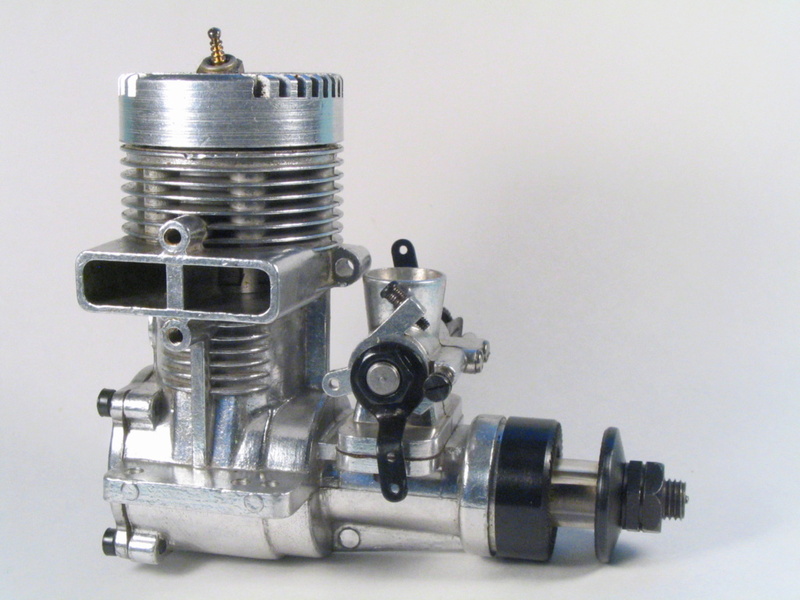 The original 40R came from the early Mk1 or 2 and had a plain finish all over. 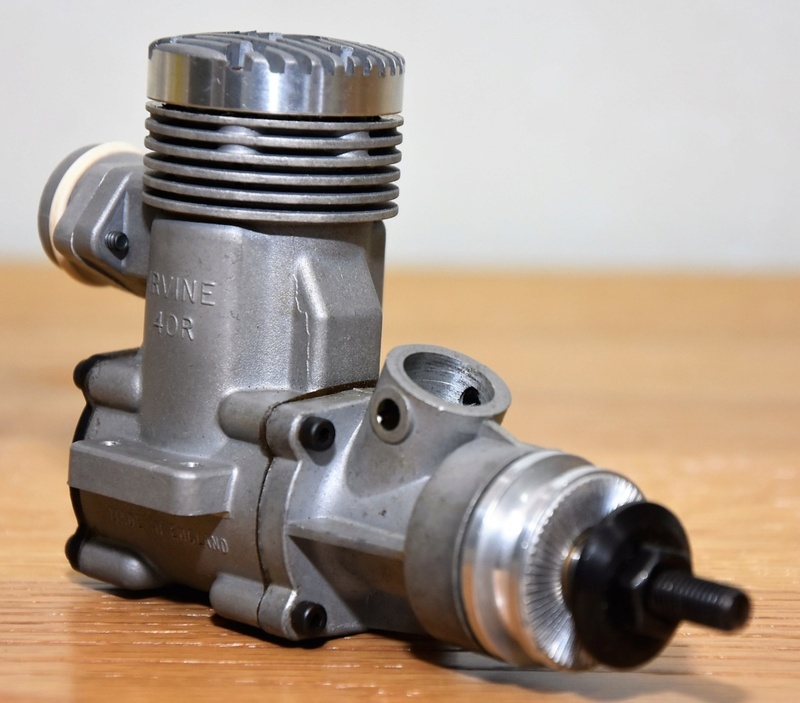 However, there were two different crankcases, one for the ringed version where the OD of the liner was 24.55mm and the other for the ABC which had a liner of 25mm OD. 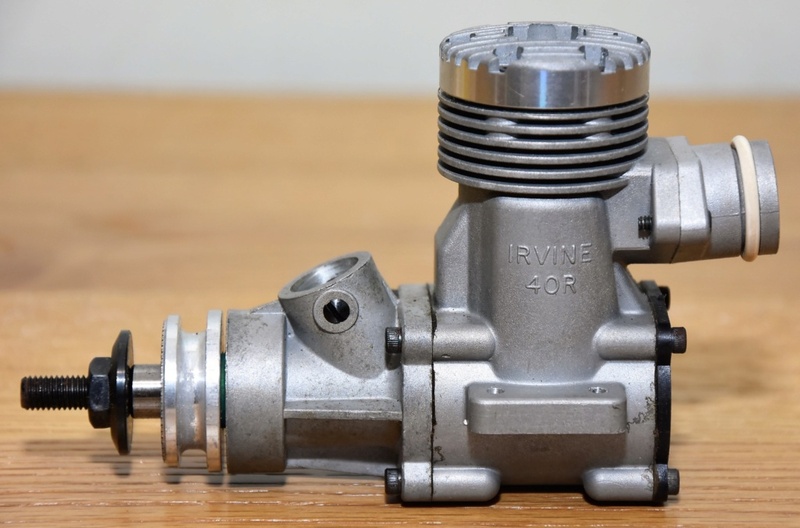 The 40RLS uses the ABC crankcase so there are no external identification marks other than the "R". 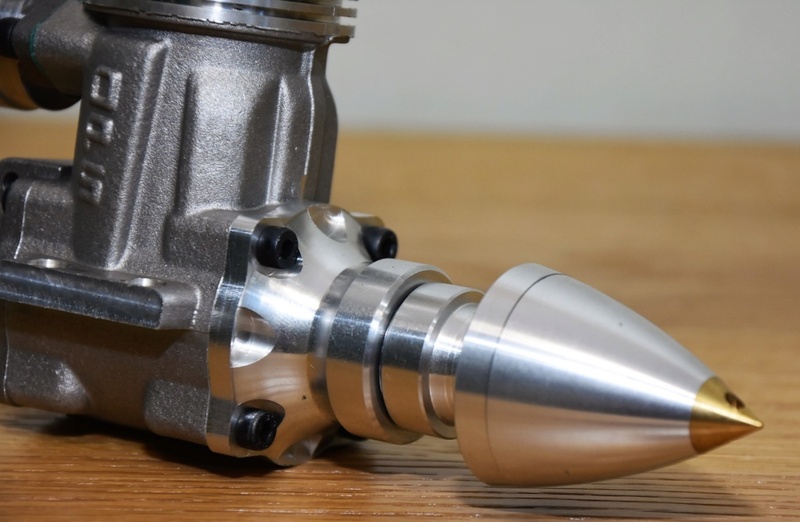 The 40R had a bore of 21.34mm and stroke of 18.29mm while the 40RLS has a bore of 20.55mm and stroke of 19.5mm. 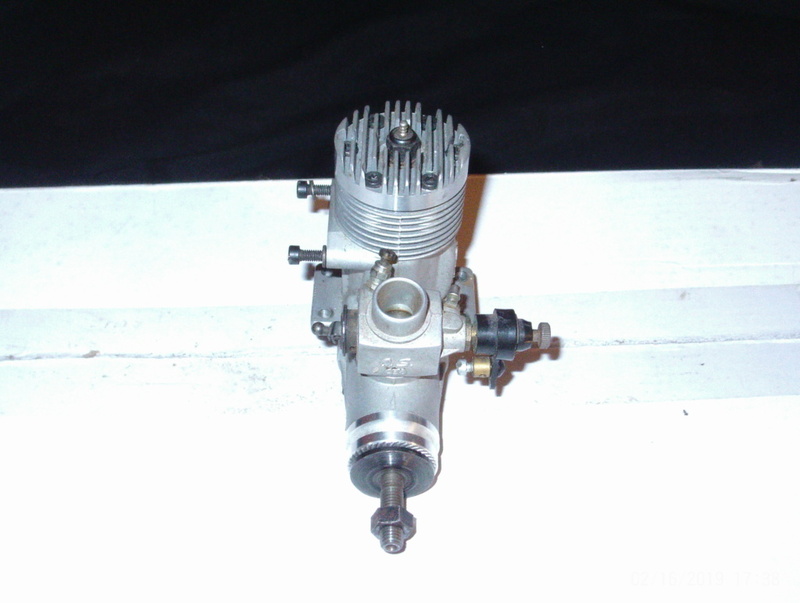 This different bore/stroke was adopted from the Q40 but of course the liner has an RE layout and different port timings. 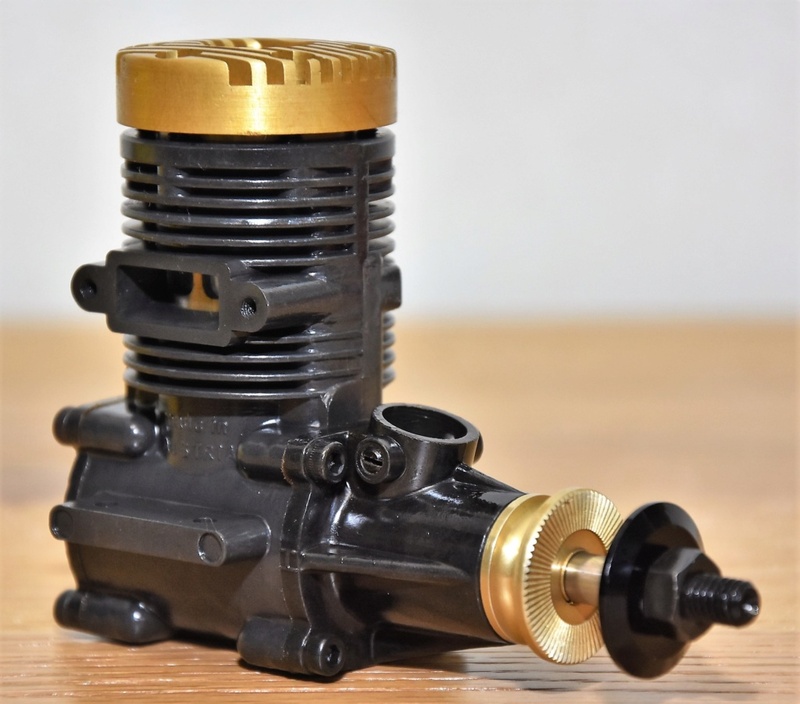 The RLS also uses the Q40 conrod, which is slightly longer than the earlier engines, and the crankshaft from the earlier 46 which had a stroke of 19.5mm. 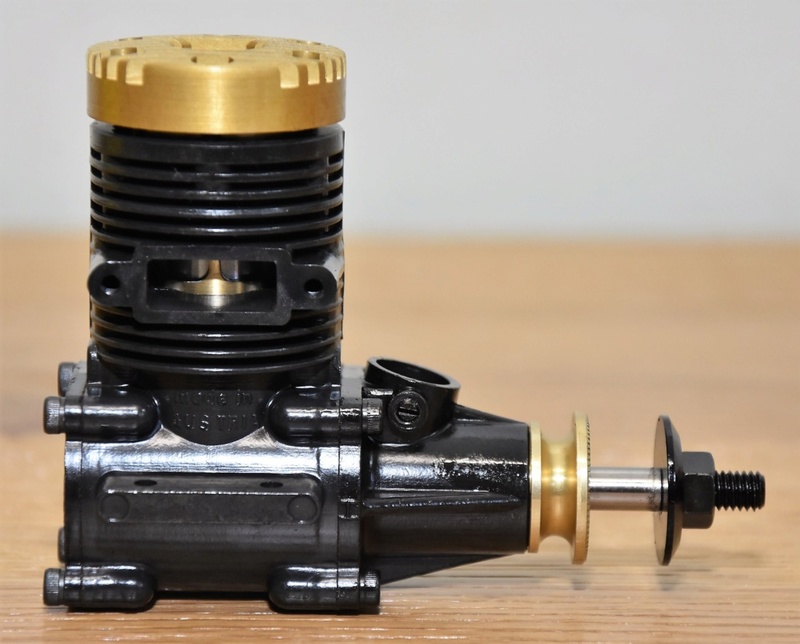 So I guess to sum up, the 40RLS is a mixture of Mk2 RE ABC crankcase and .46 crankshaft with some Q40 bits thrown in including the red Q40 head. That leaves the colour of the head as the only external identification. 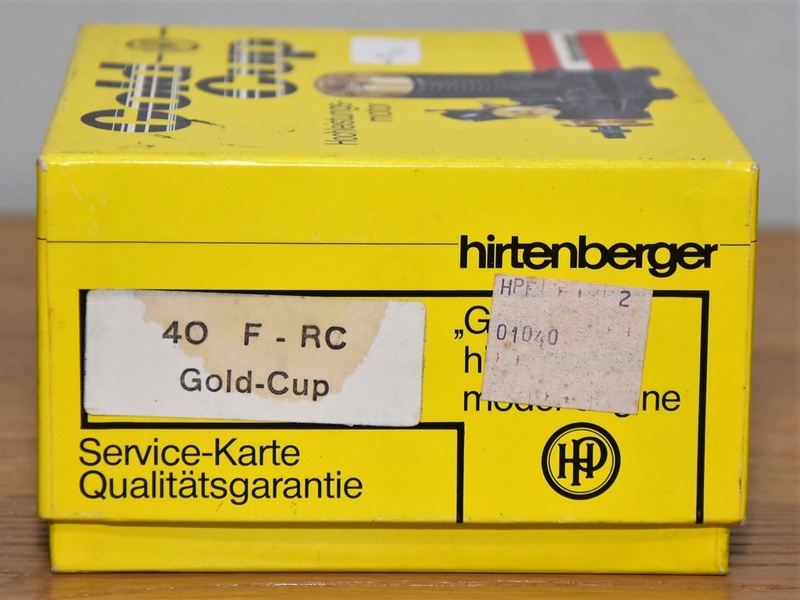 The only indication of numbers made is that Peter said they made "some" 40RLS in both CL and RC versions. 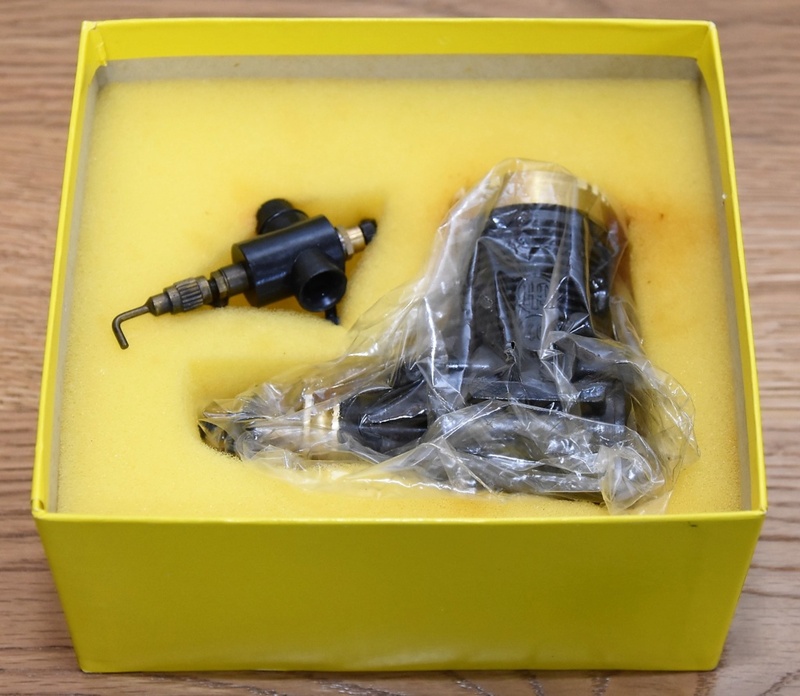 And as luck would have it, a couple of hours ago I had an Ebay win of a NIB Irvine 61RLS which looks exactly like its little brother . I'd never heard of a 61RLS before so I had to have it. My thanks to Andrew Tinsley in the UK who did all the leg work of contacting Peter Halman and passing on his email to me. 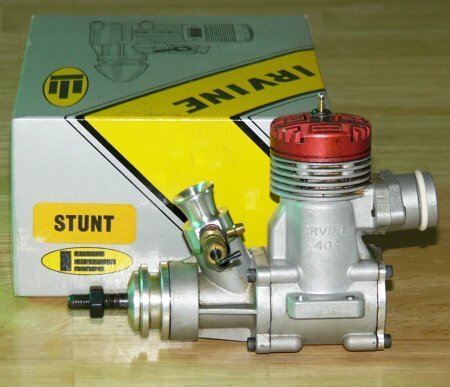 Here is a picture of a 40RLS C/L Stunt engine showing the red head. Now back to the engine in the box. 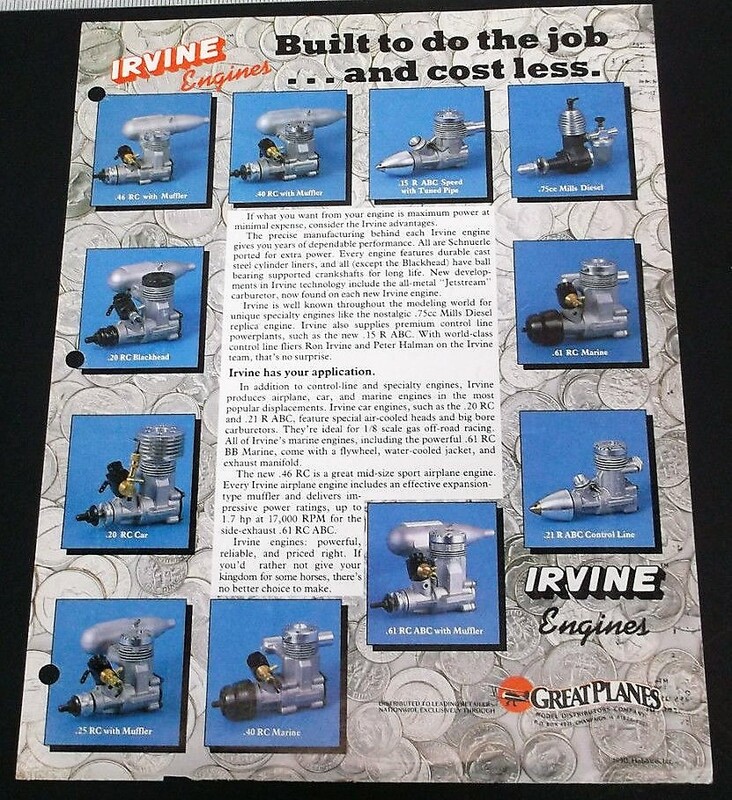 It was my understanding that the mill finished cased engines were produced by OS and marketed by Irvine. The color brochure catalog lists Great Planes as the distributor which owned the OS marketing in the US. 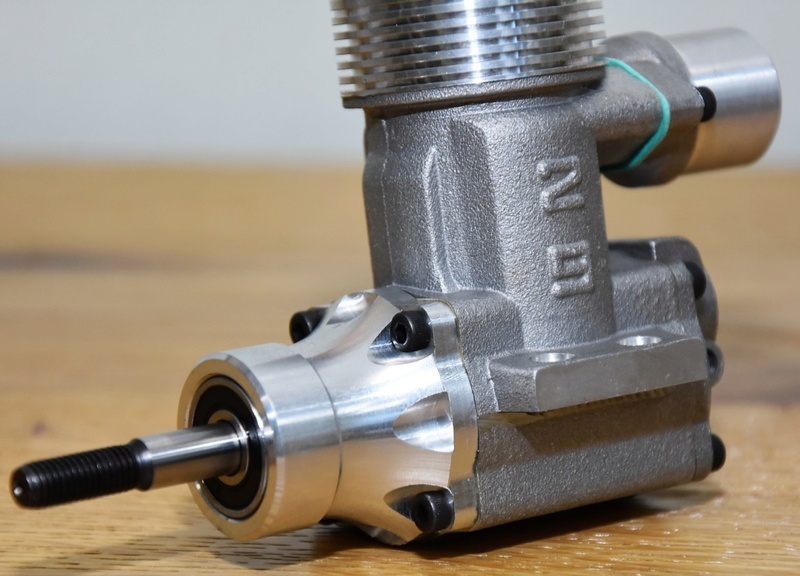 You might be able to receive some information from Just Engines in the U.K.. I owned one red Irvine which I regret selling to a friend of mine no longer in the hobby. I don't know what happened to the engine. 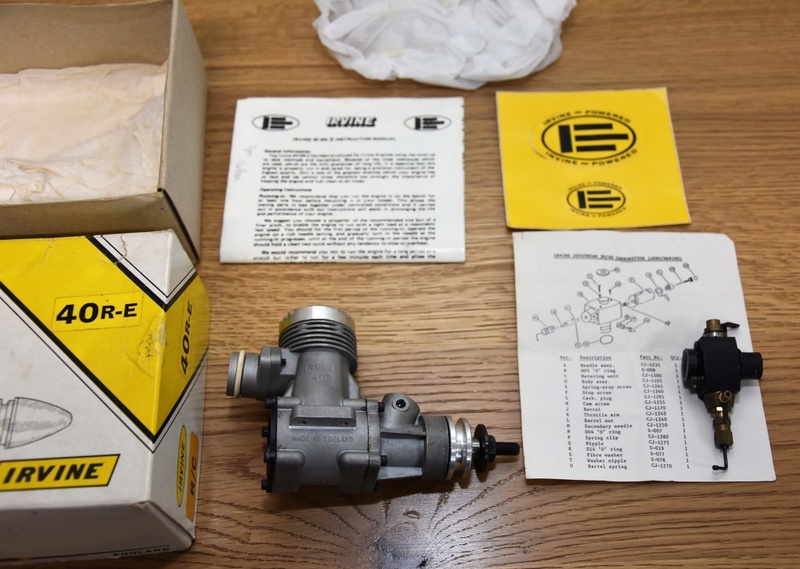 It was a very good engine which all the Irvine engine were. Thanks for that Ken, I’ve added that to the Irvine info. 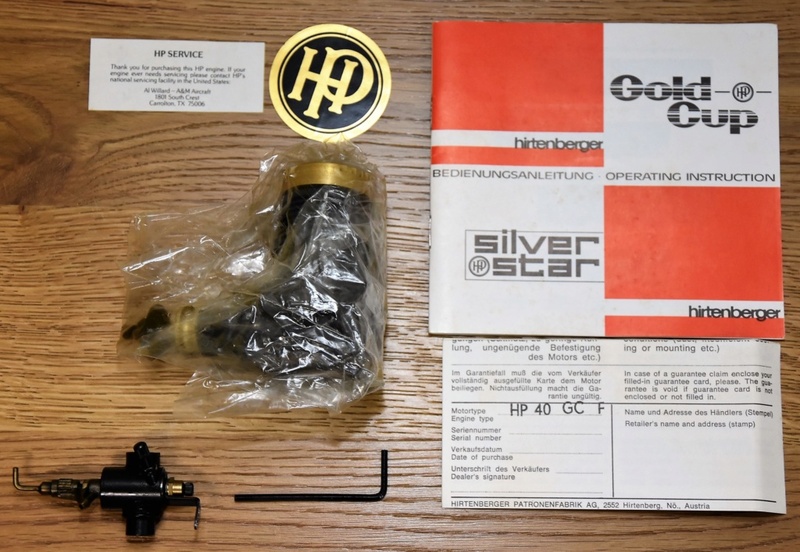 I had a look at their site and under the spares section for the Irvine engines they list whether the engine is of British or Japanese manufacture with the British made engine supplied with black Jetstream carb and the Japanese with silver carb so that’s another tidbit. 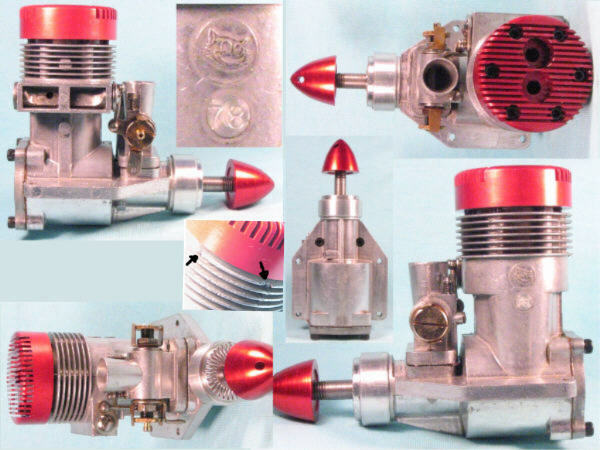 Sceptre Engine tests on the Irvine Sport 40 Mk-II say that this engine was introduced in 1980 and the Q40, with its red head, possibly late 91 as the test was in the January 92 MAN issue. 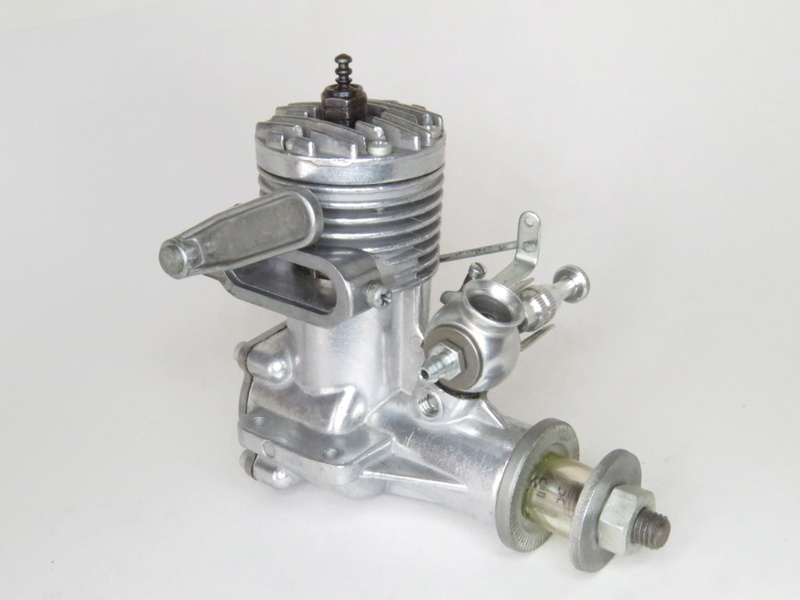 Using that as a guide the 40RLS engine would be of 1992 or later vintage. 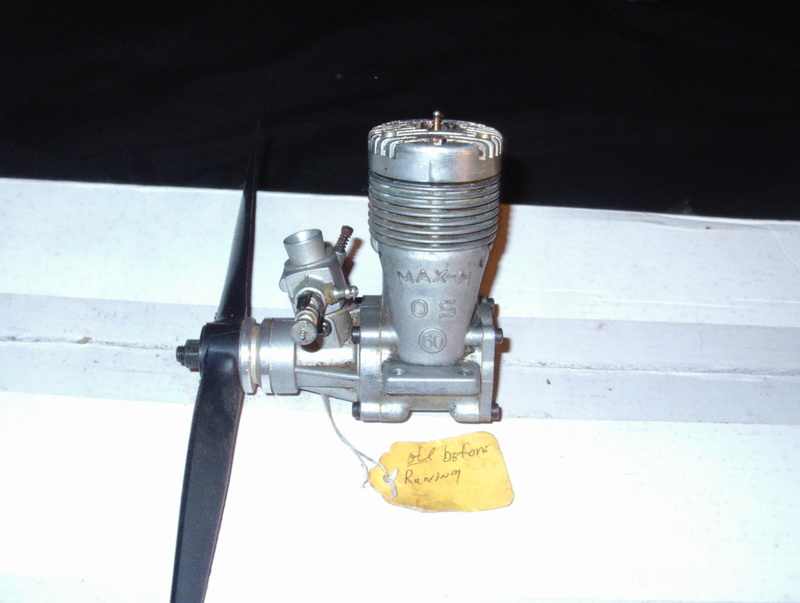 The MKII 40RE sometime from 1980 on until the introduction of the MKIII I guess. ..had a Irvine .40 MkI in the mid 80's, last flight she was screaming along (maybe a dozen total) when it died suddenly, with prop still moving with wind, the ring was totally gone. 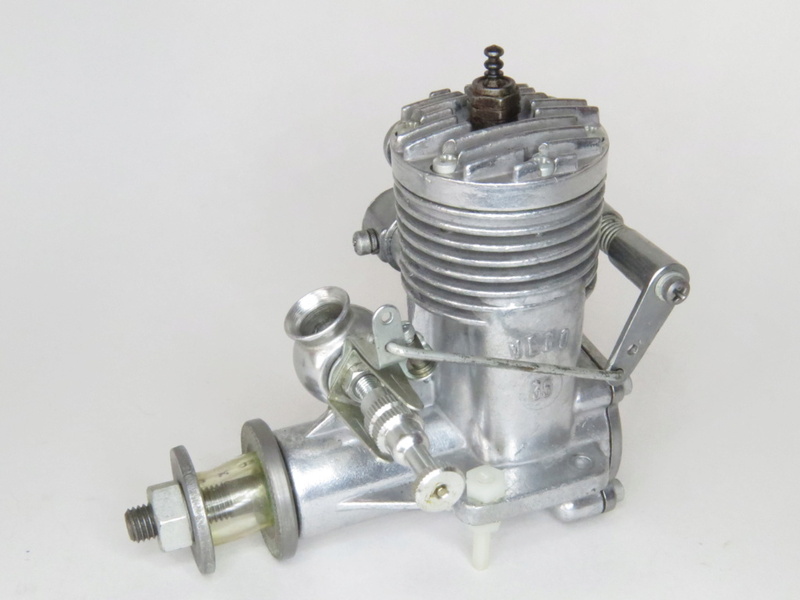 Later learned there was problems with the plastic carb leaking air, that and the tuned pipe muffler would lean out engine a little once it unloaded, combine the two made for a quick death. 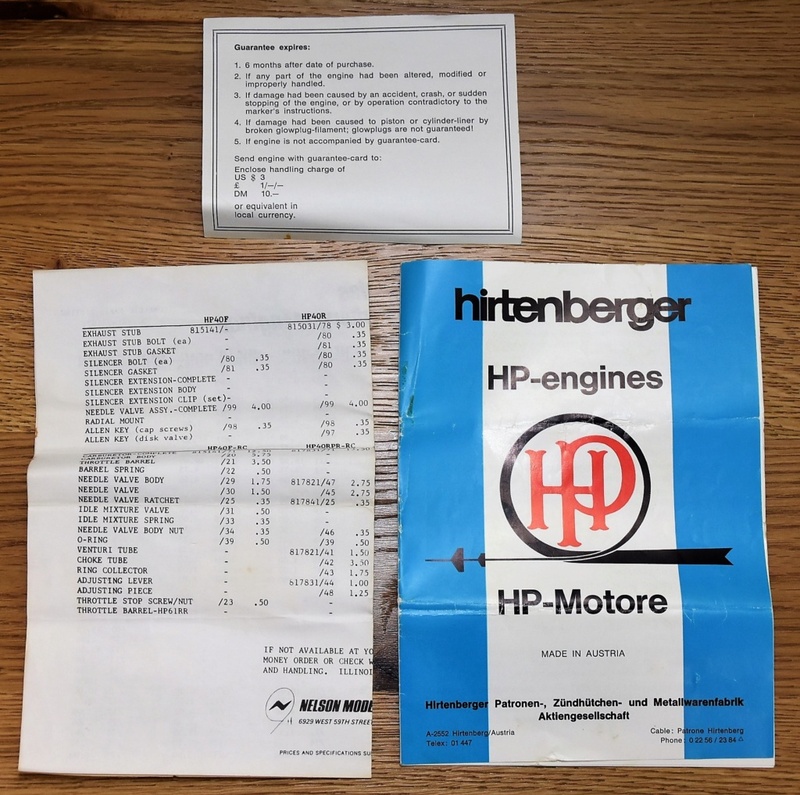 Here’s a couple of Austrian Hirtenberger HP 40 engines. I think this is the first time this engine has ever been unpacked. The preservative coating is like it was applied only yesterday. 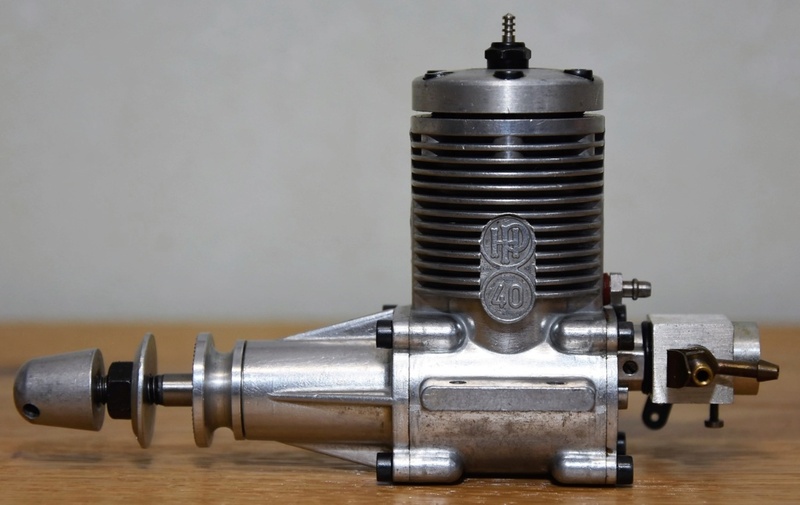 And one of the powerhouse’s in its day, the HP 40R-PR F3D Pylon engine. 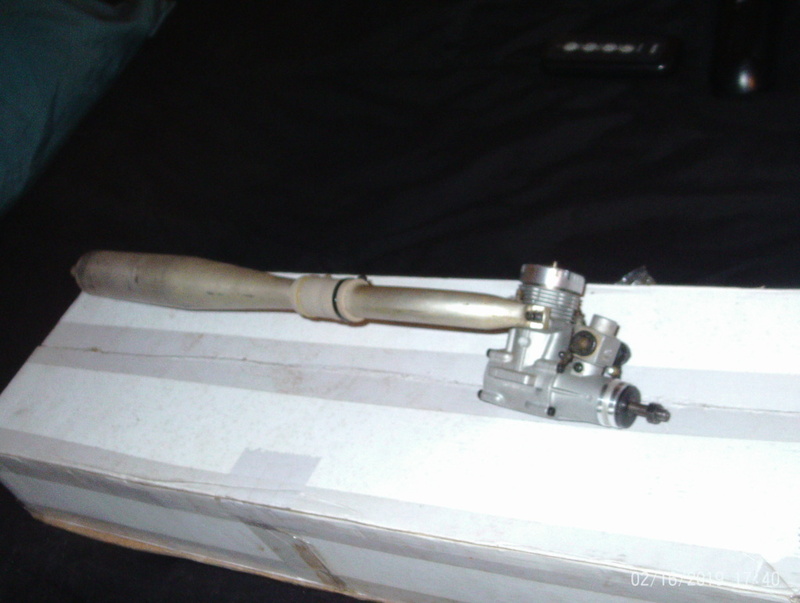 I don’t know if they came with a tuned muffler and open pipe but this is how it came to me. Although this engine shows signs of having been run it is in very good condition. I imagine it would be a noisy beast with this attached.